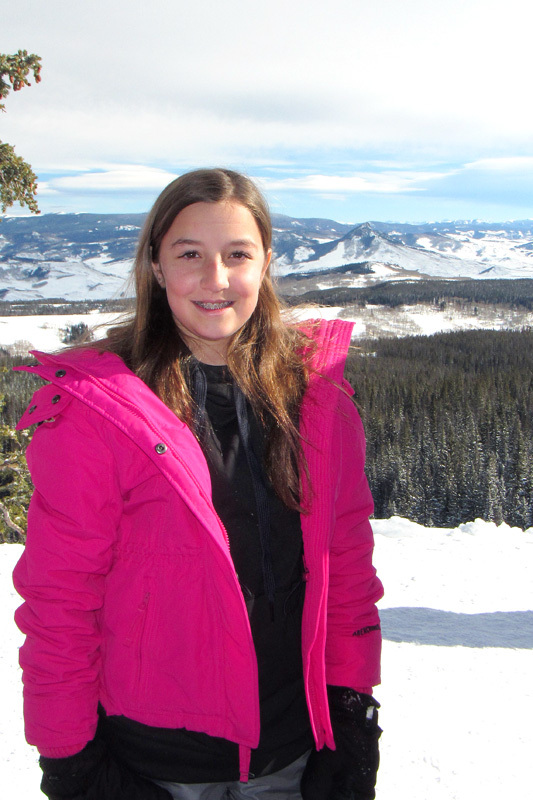 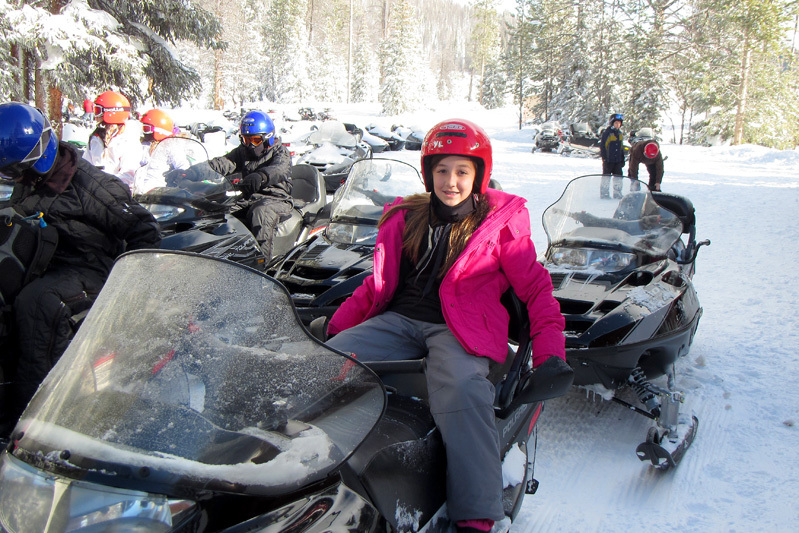 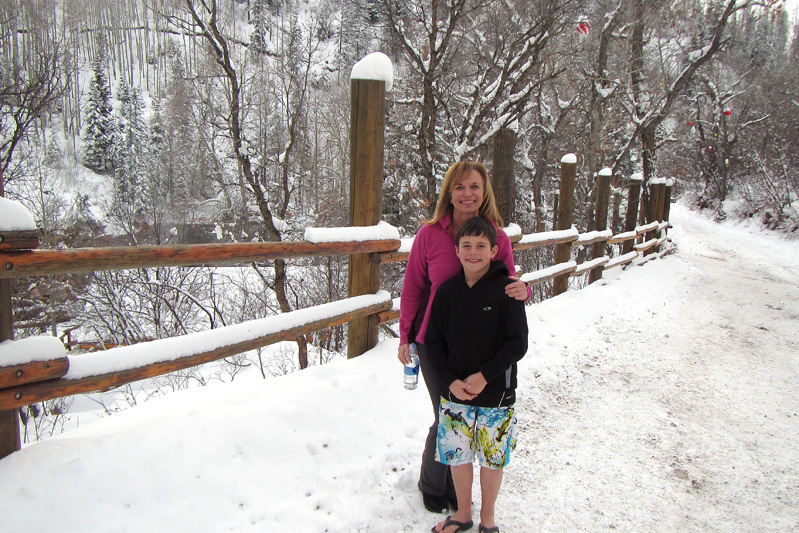 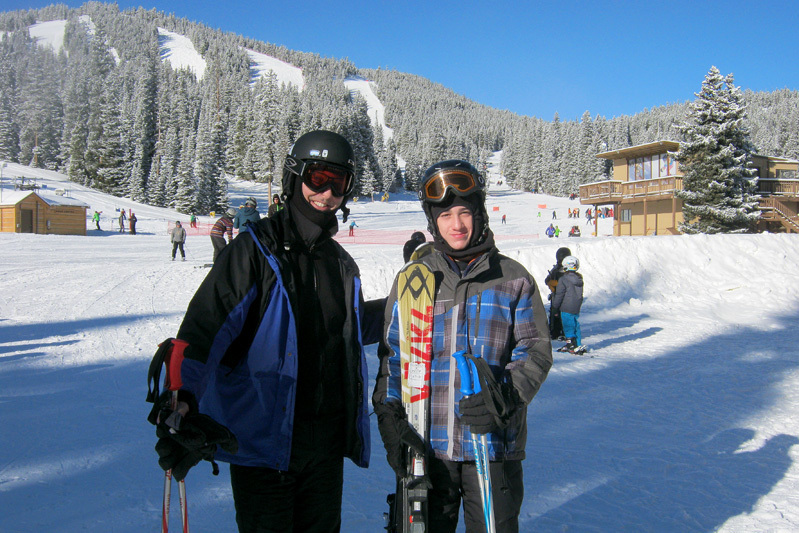 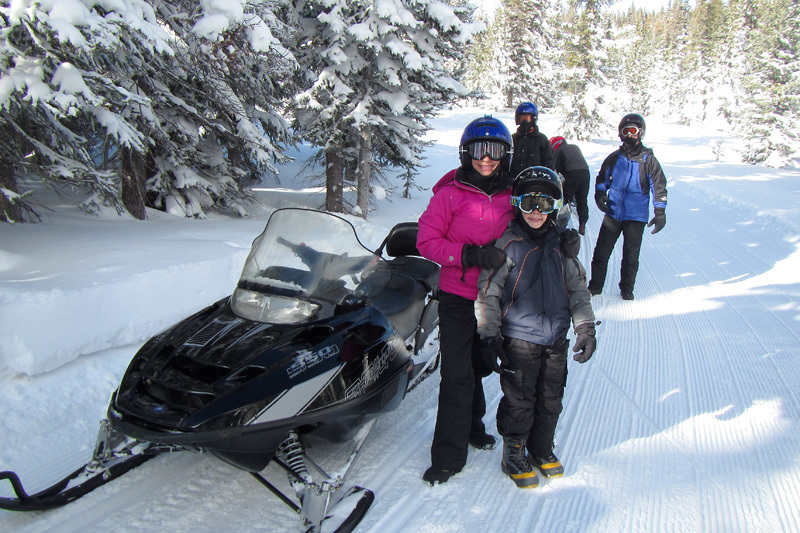 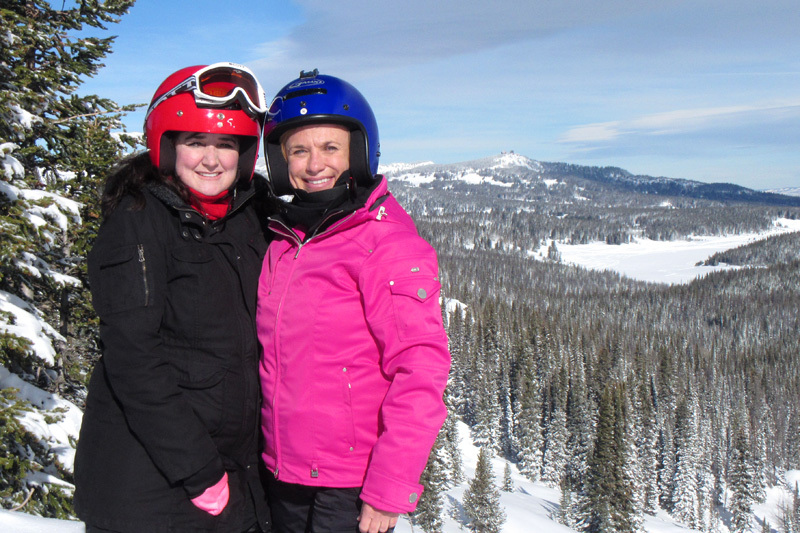 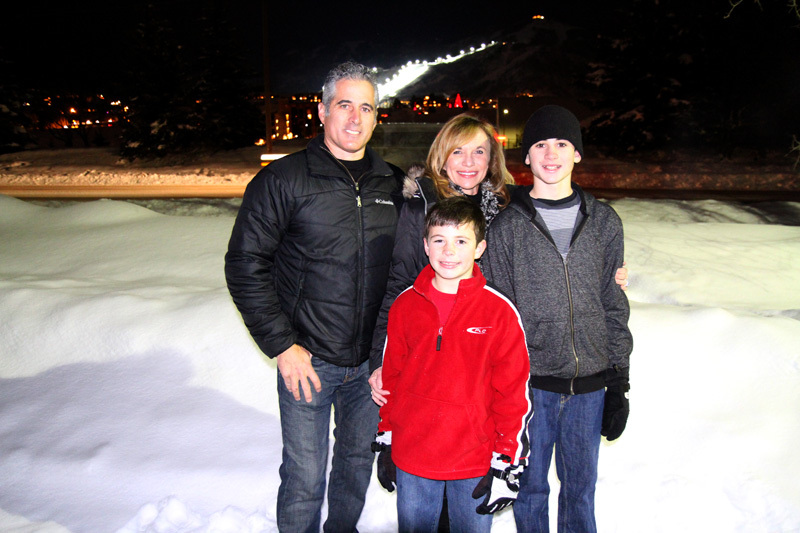 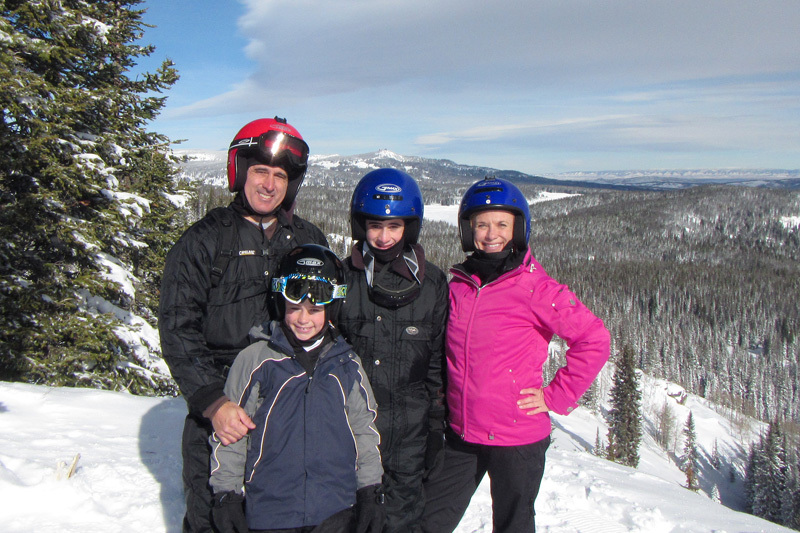 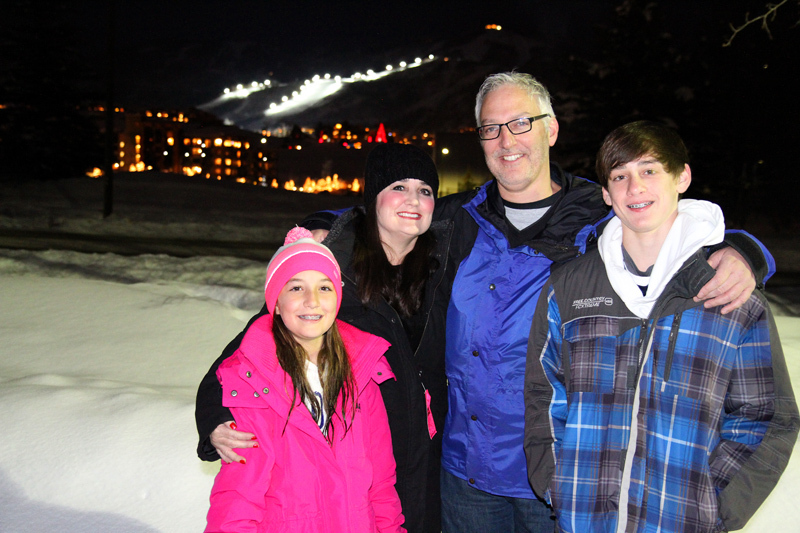 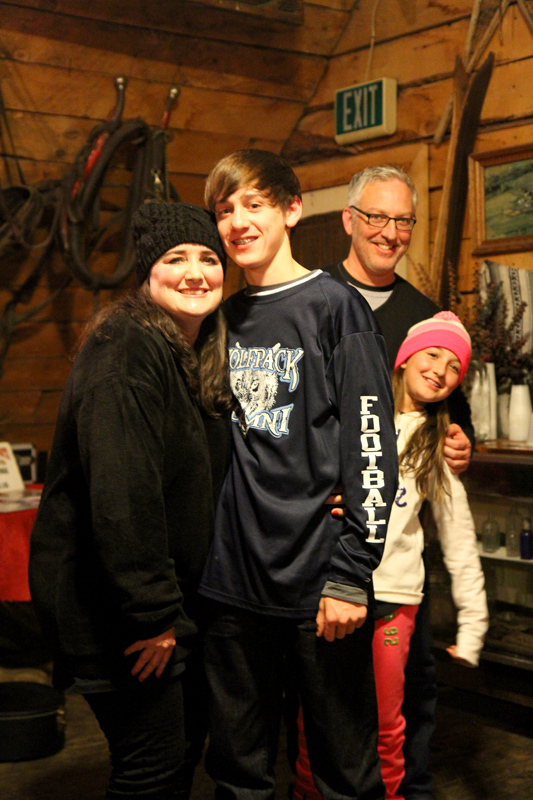 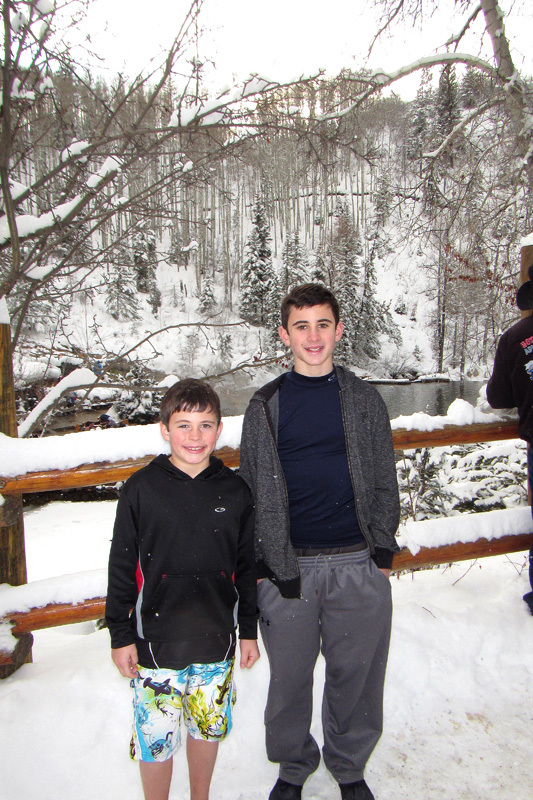 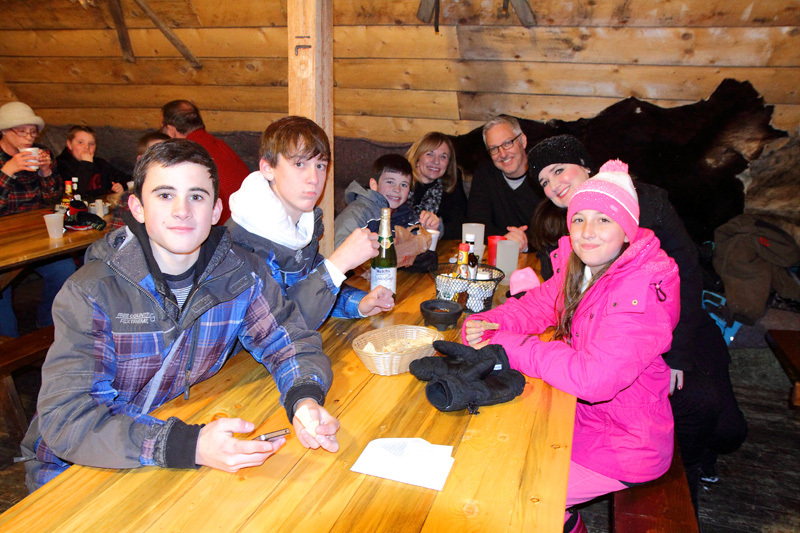 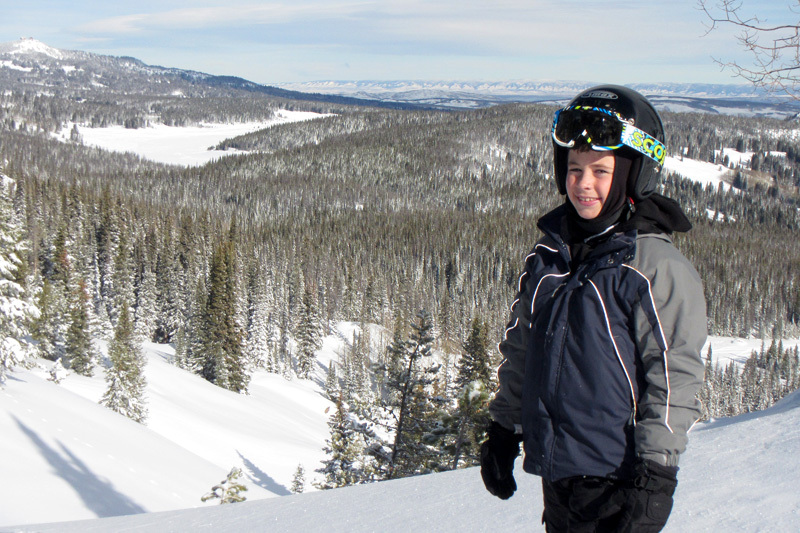 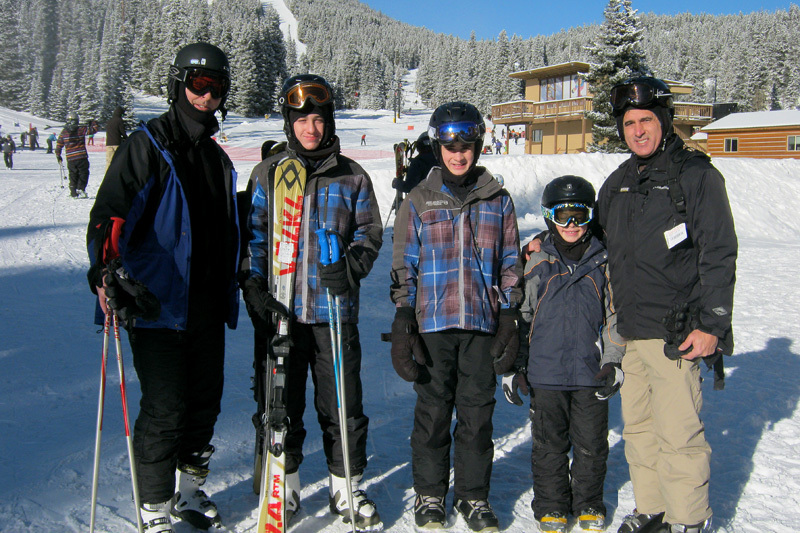 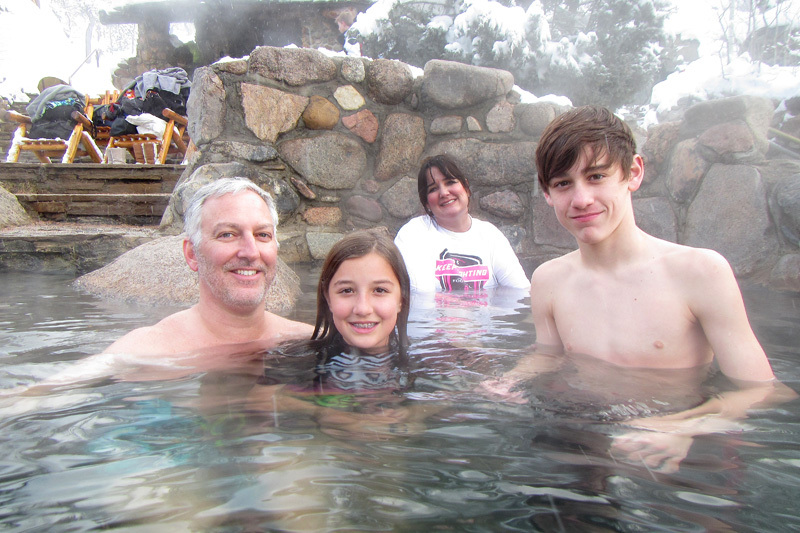 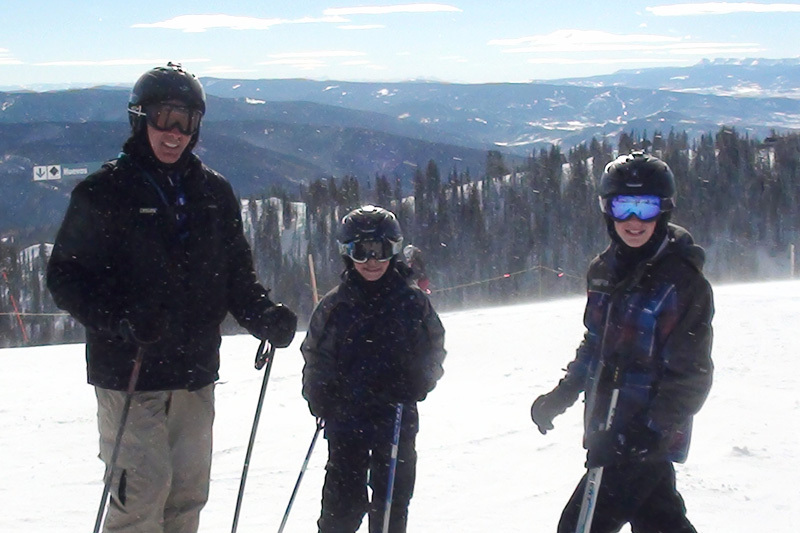 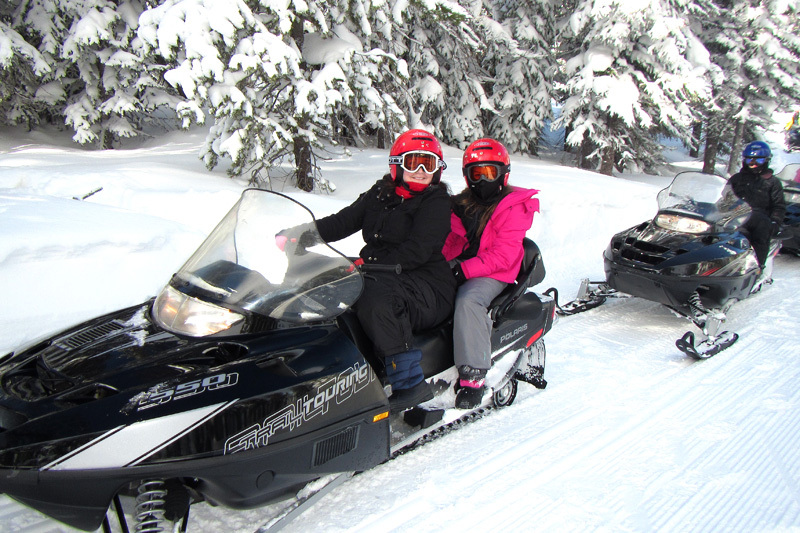 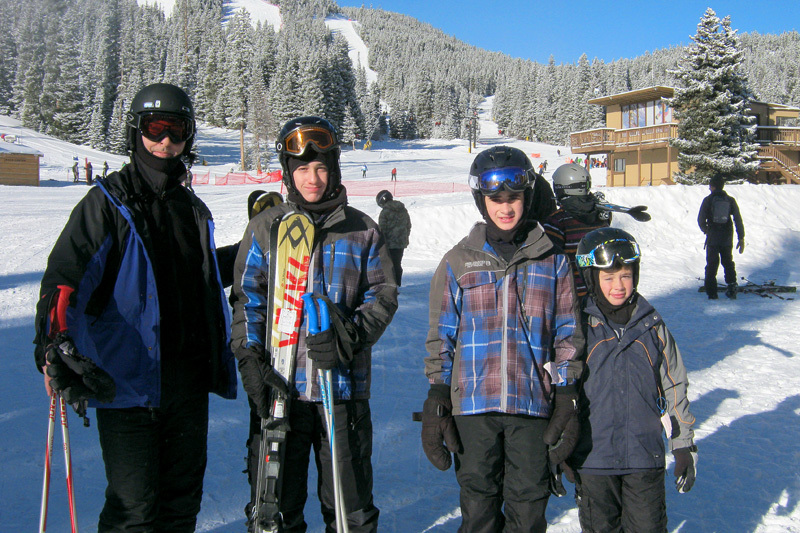 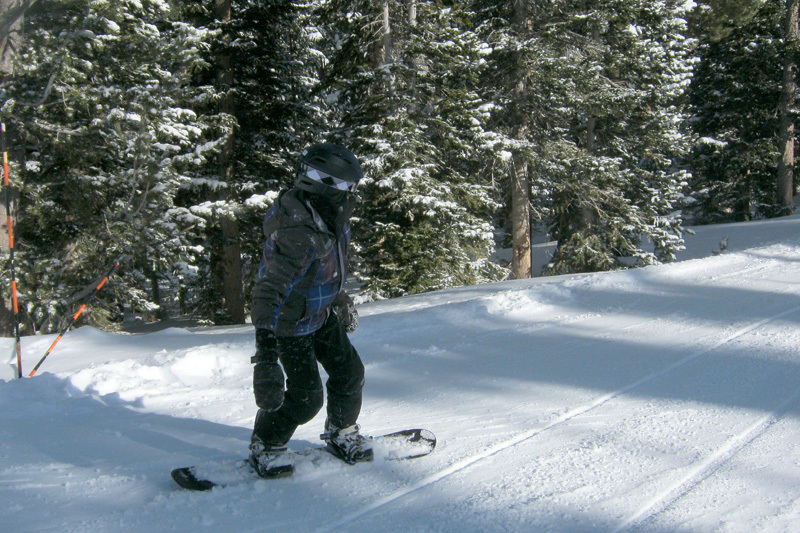 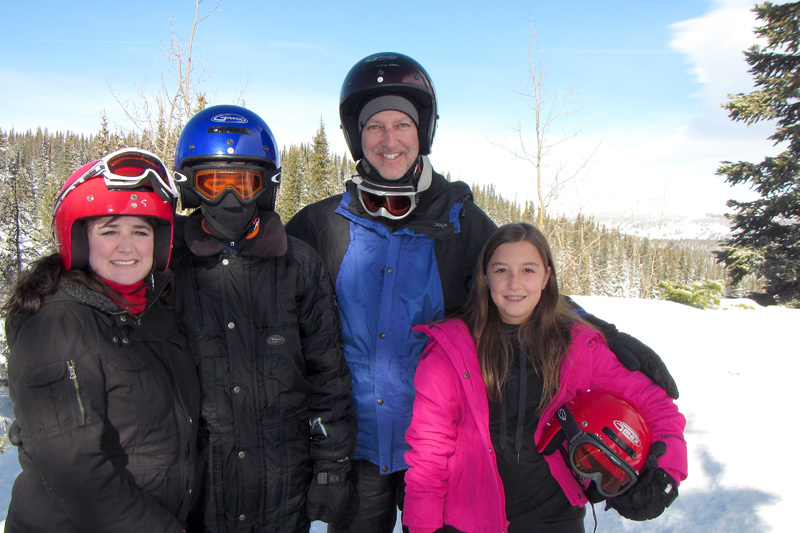 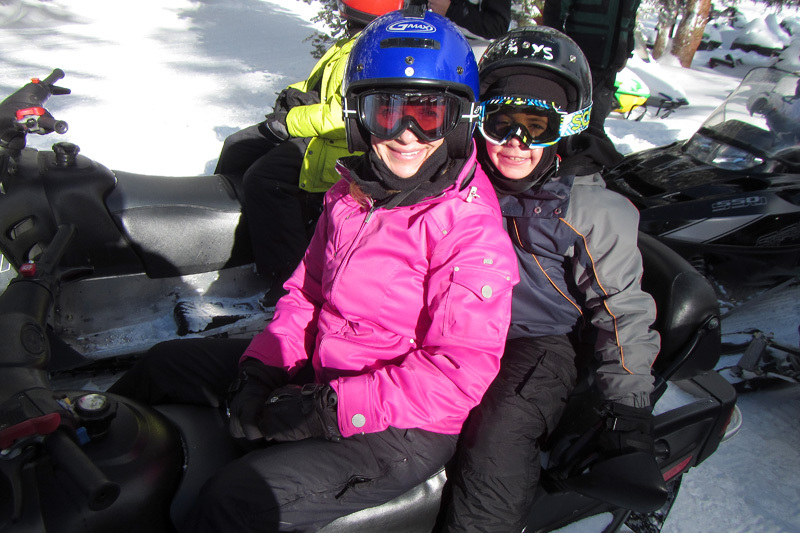 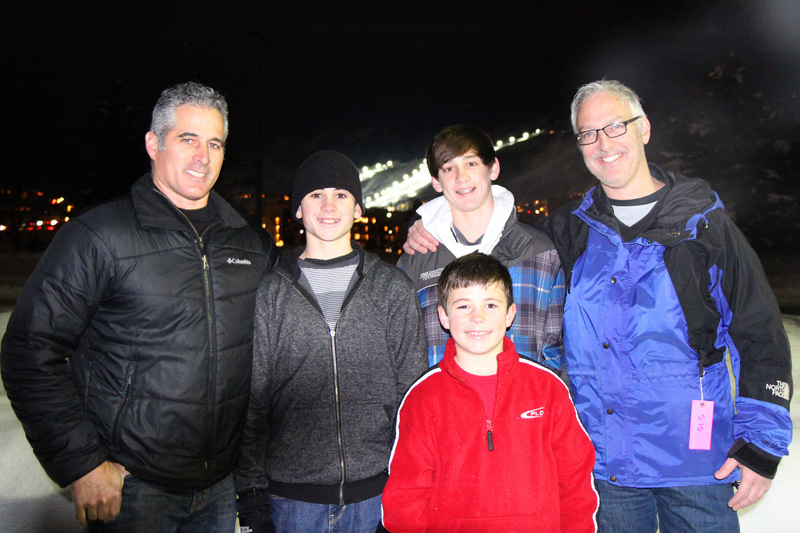 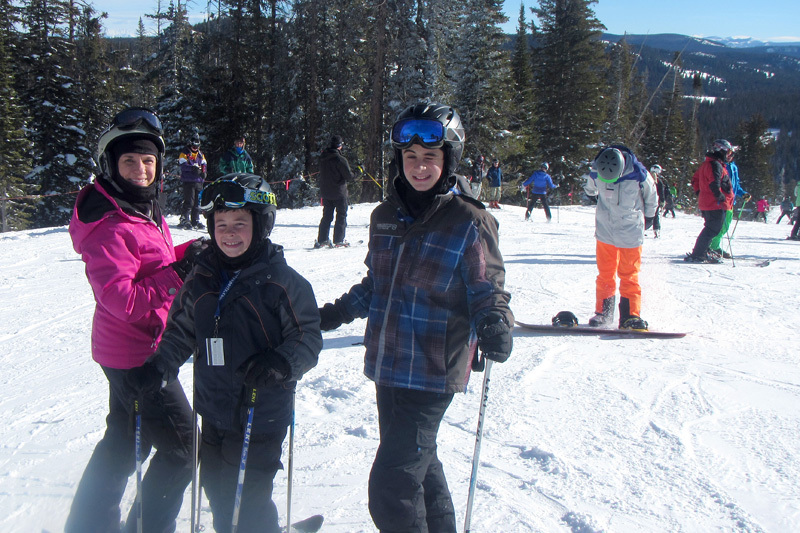 The Lewis family came out to visit us from Florida for a fun filled week in the Colorado Rockies. 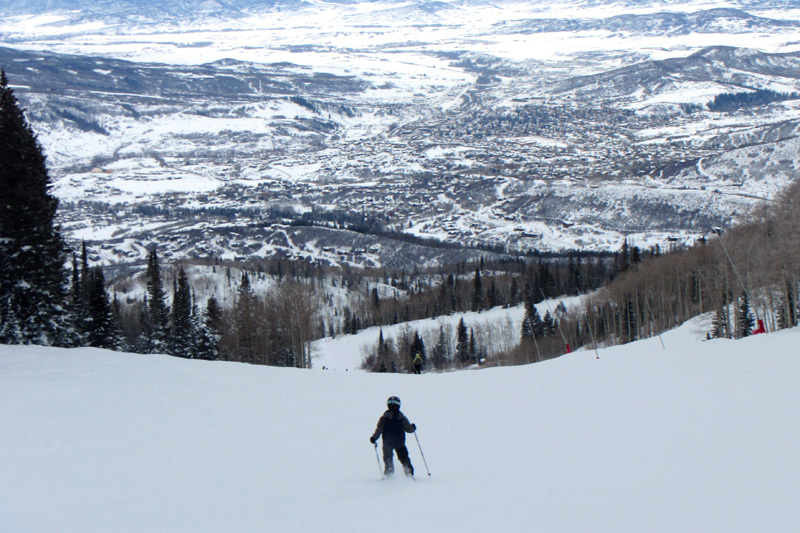 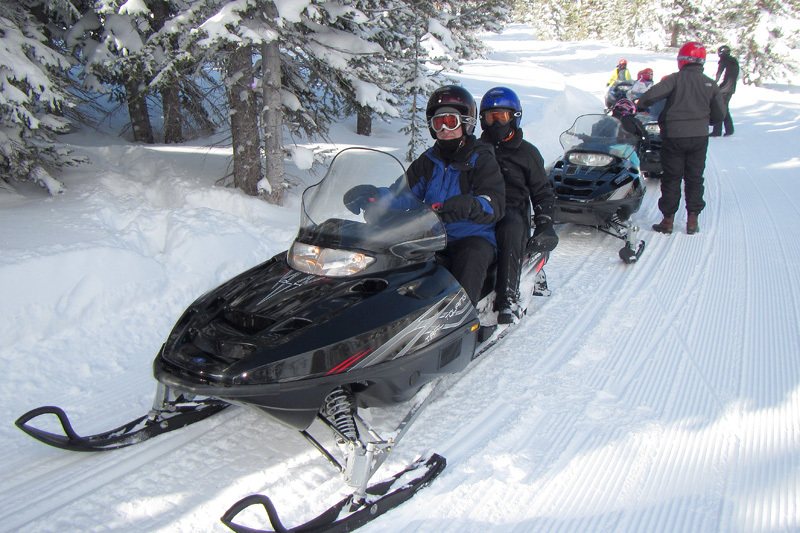 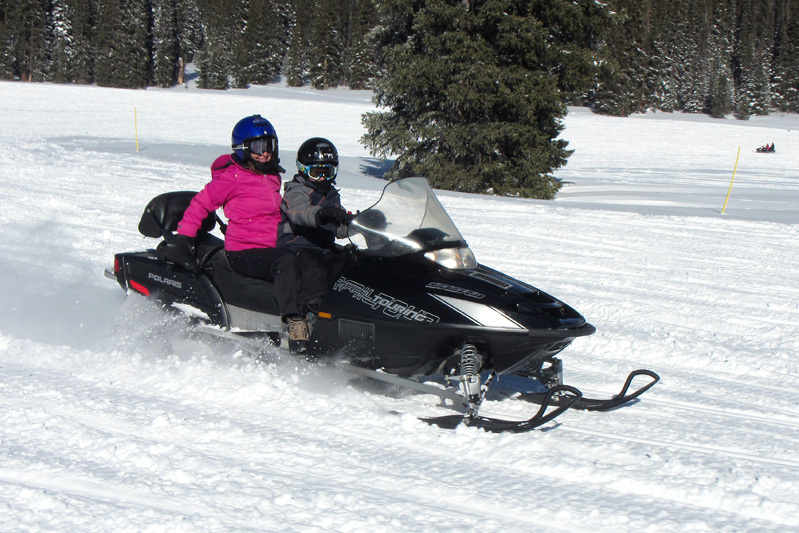 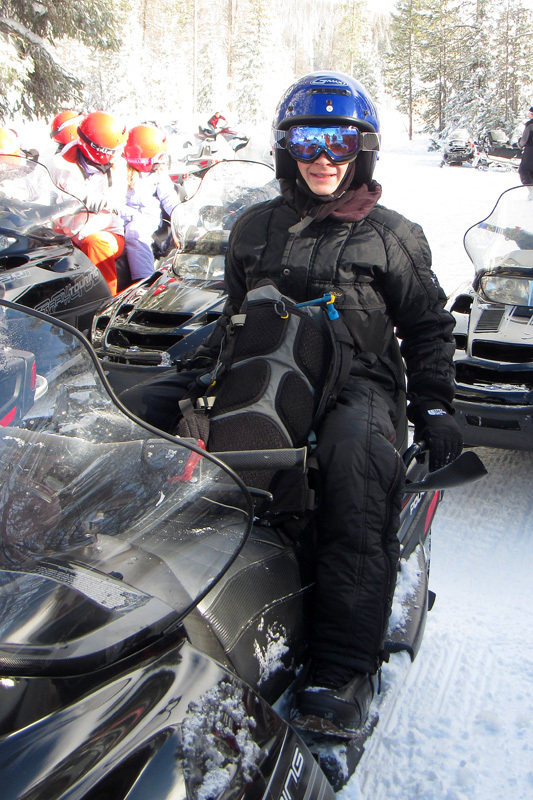 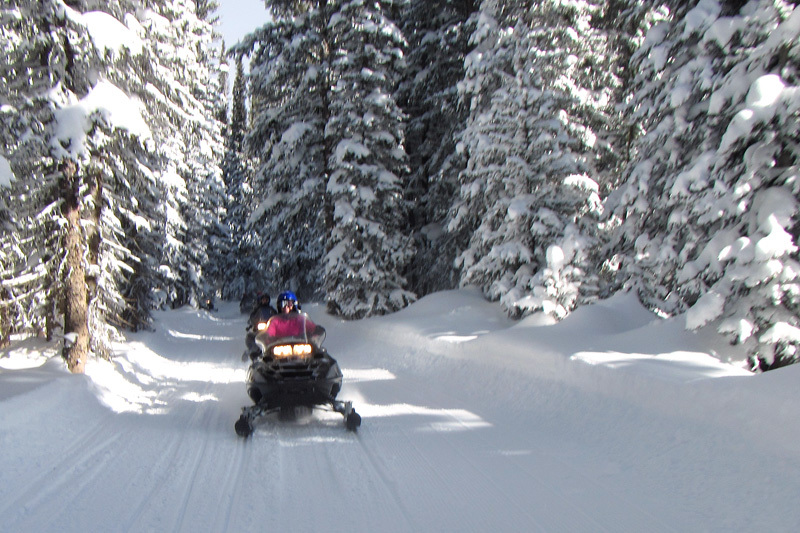 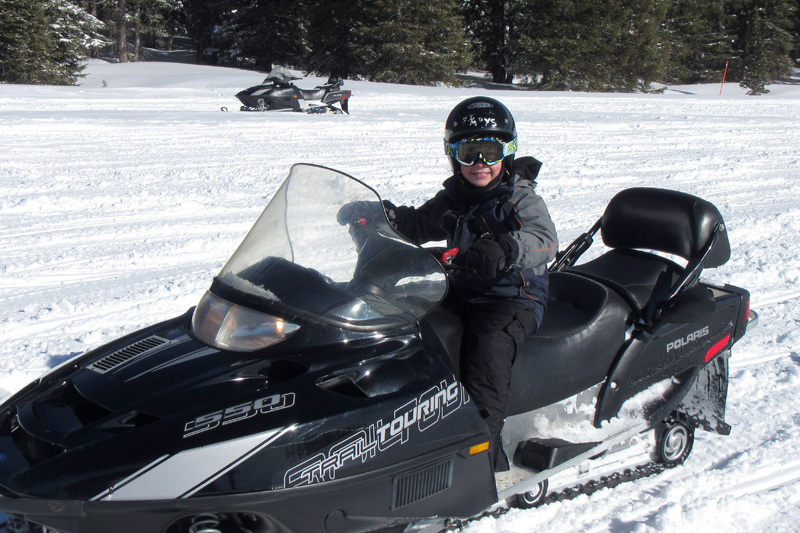 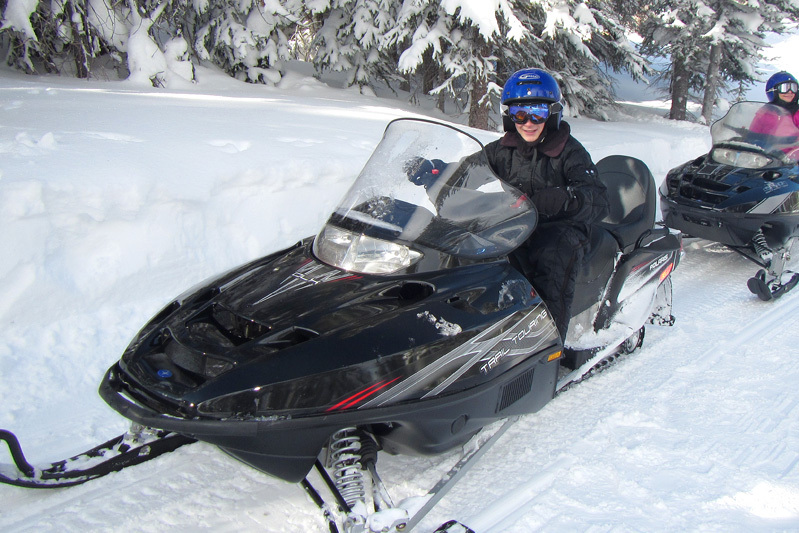 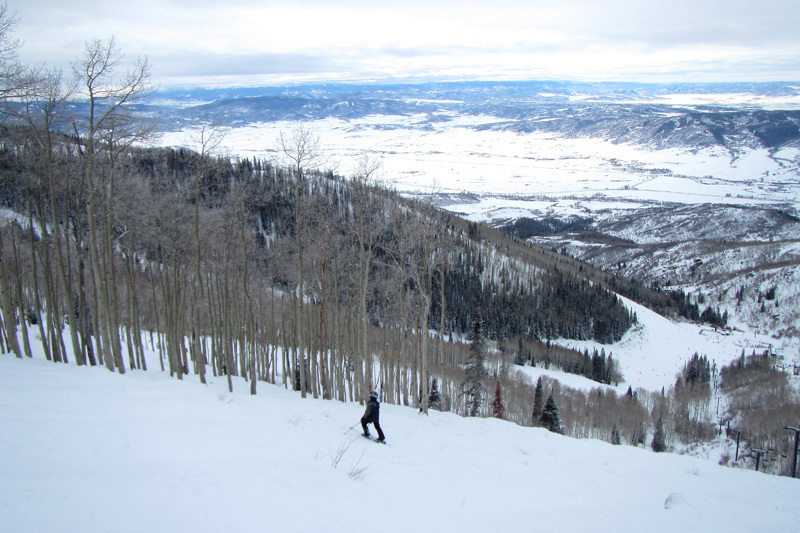 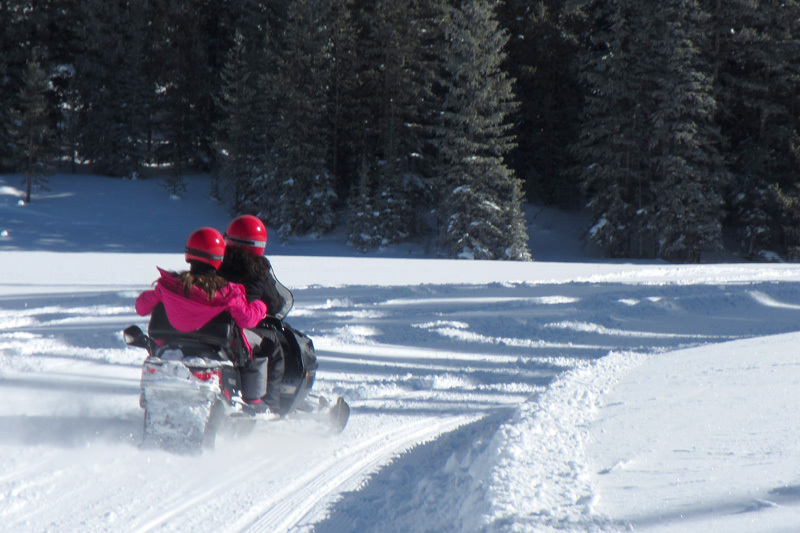 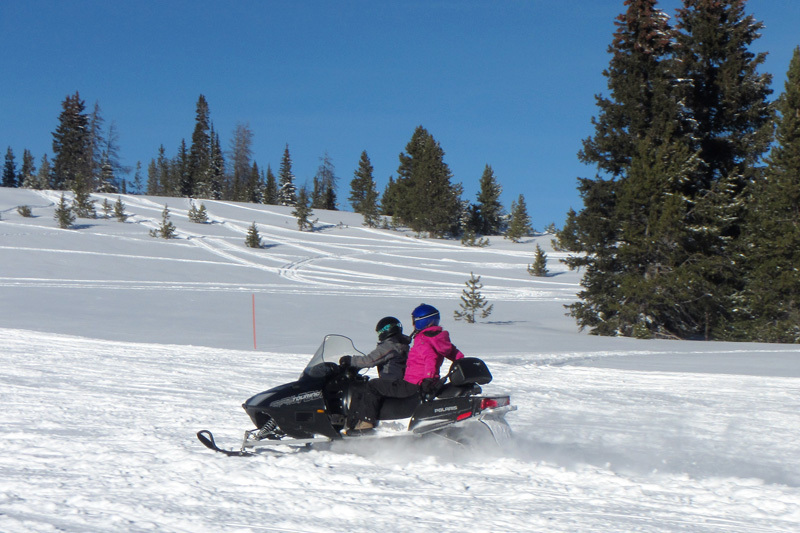 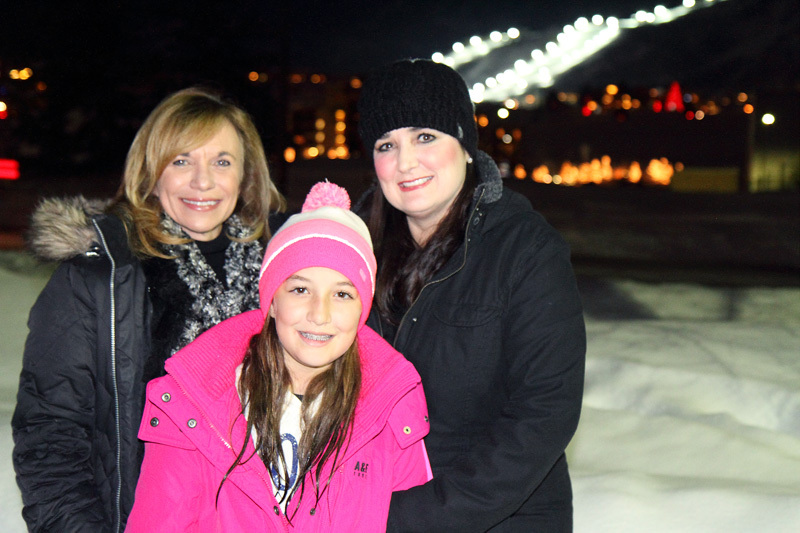 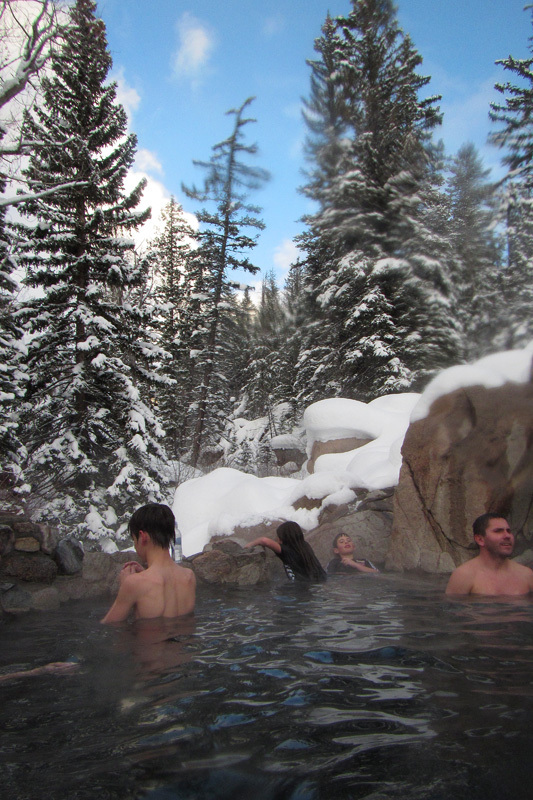 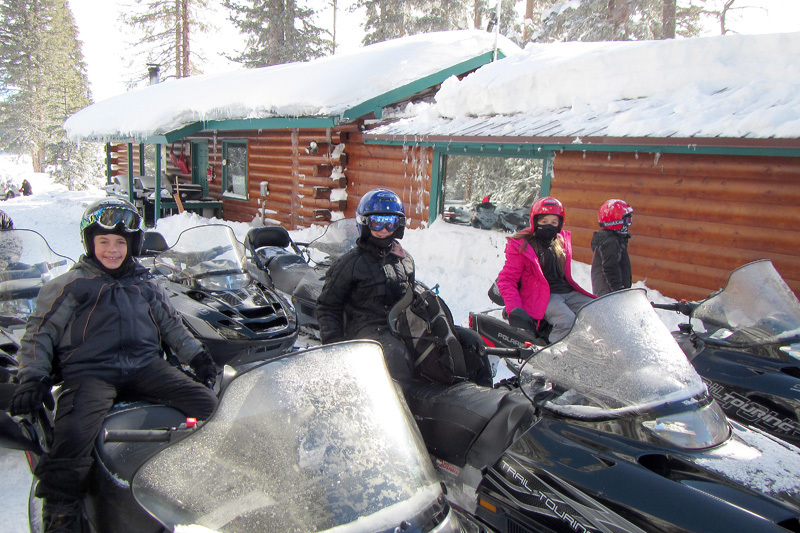 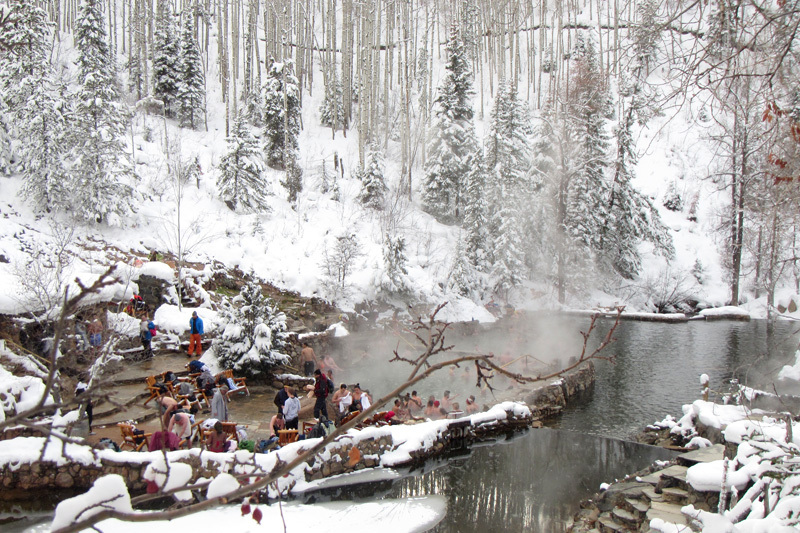 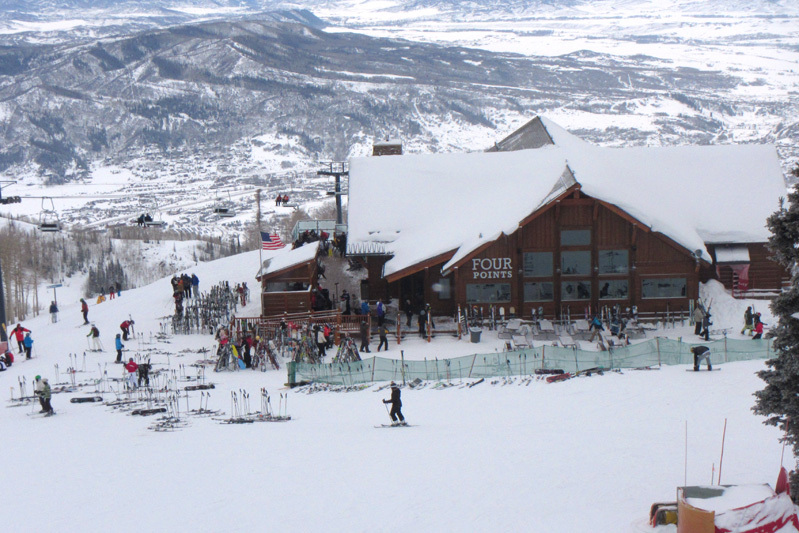 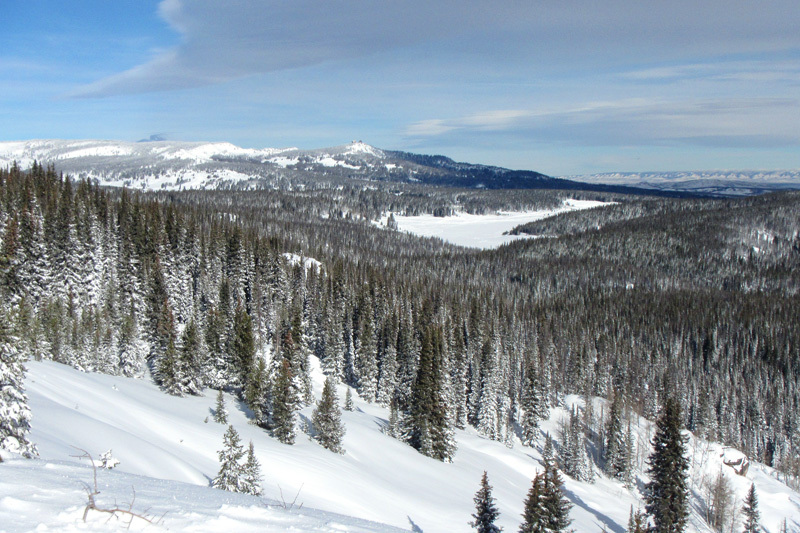 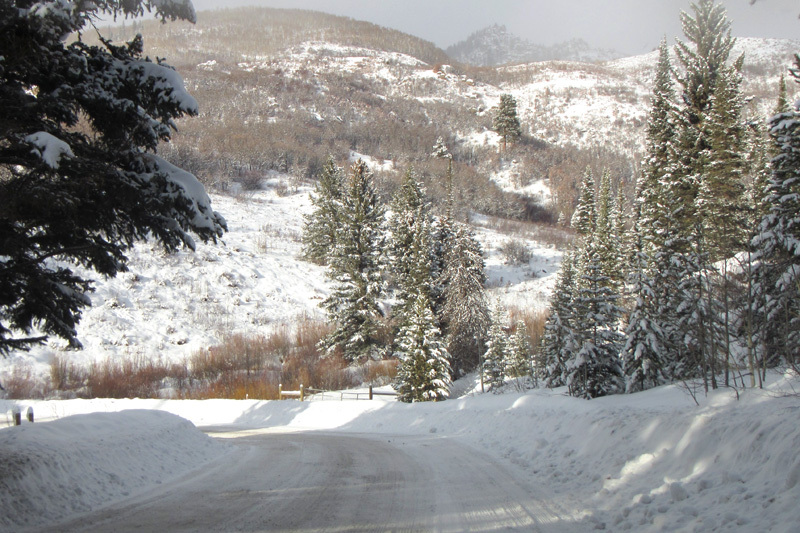 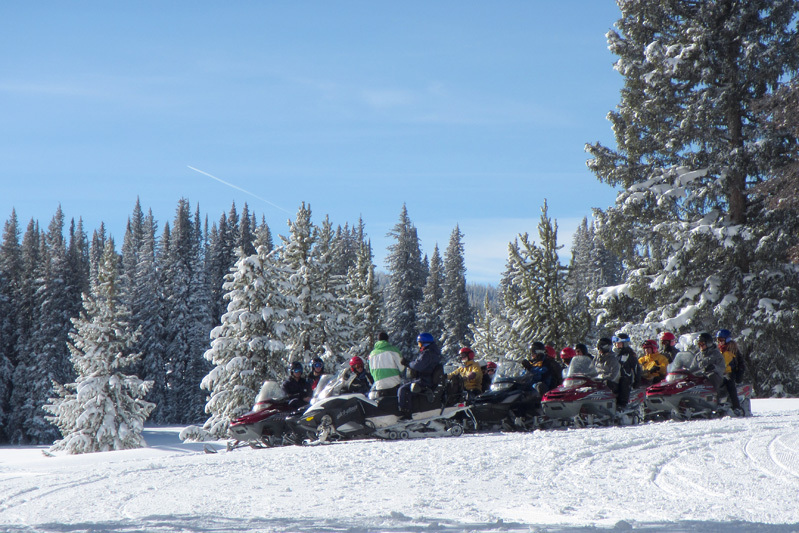 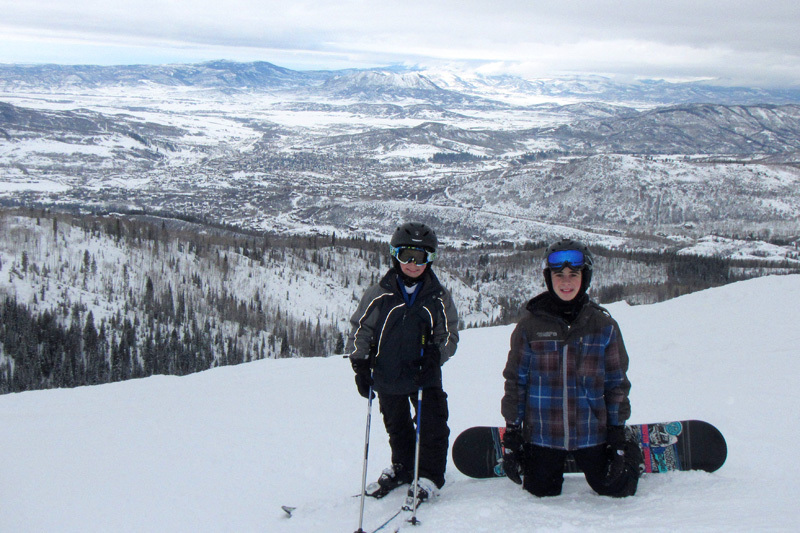 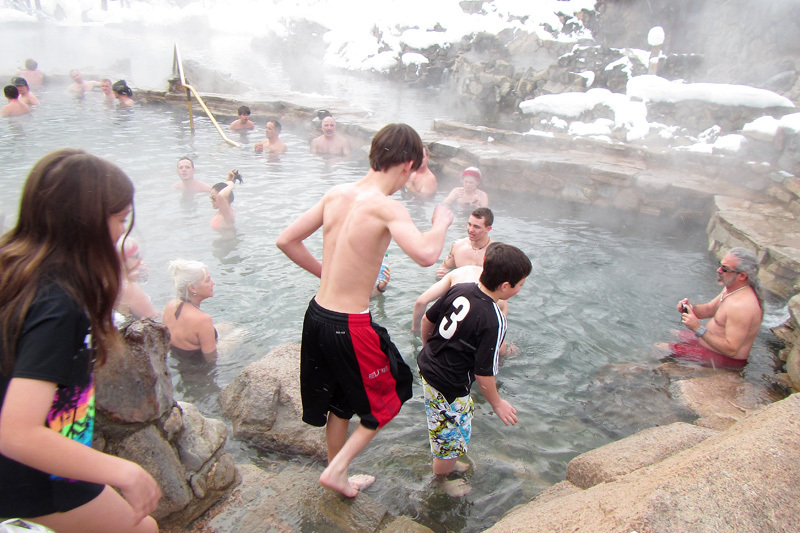 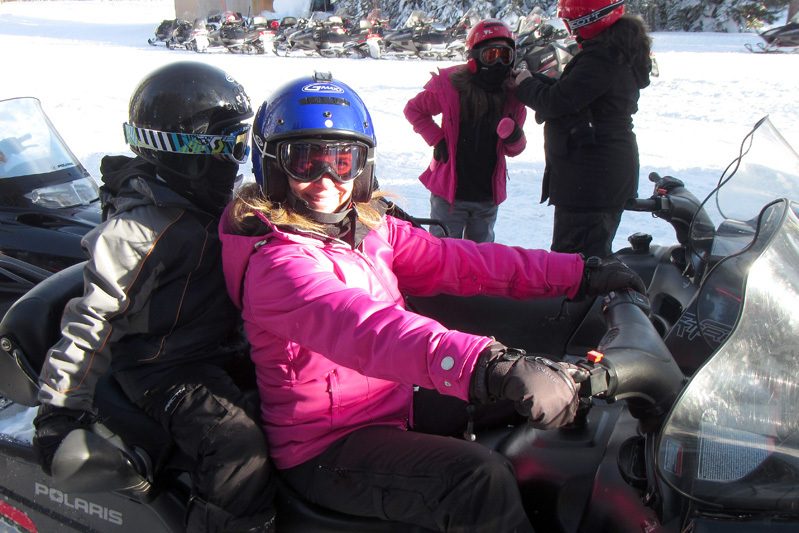 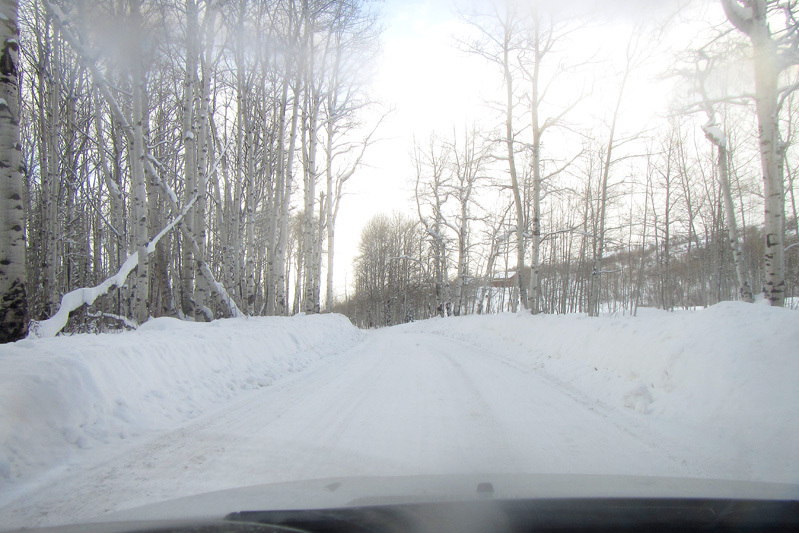 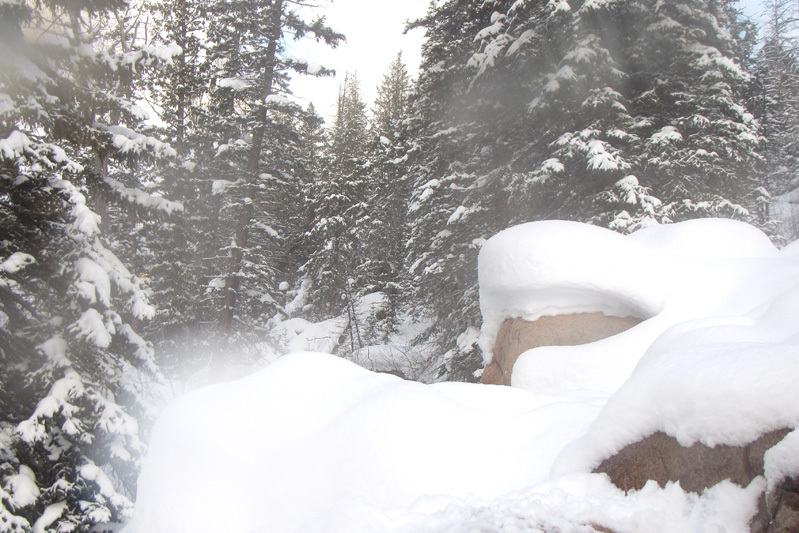 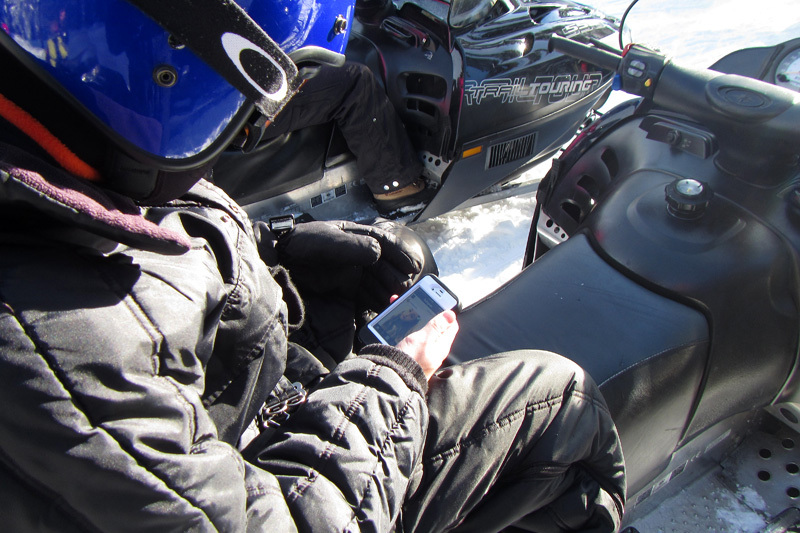 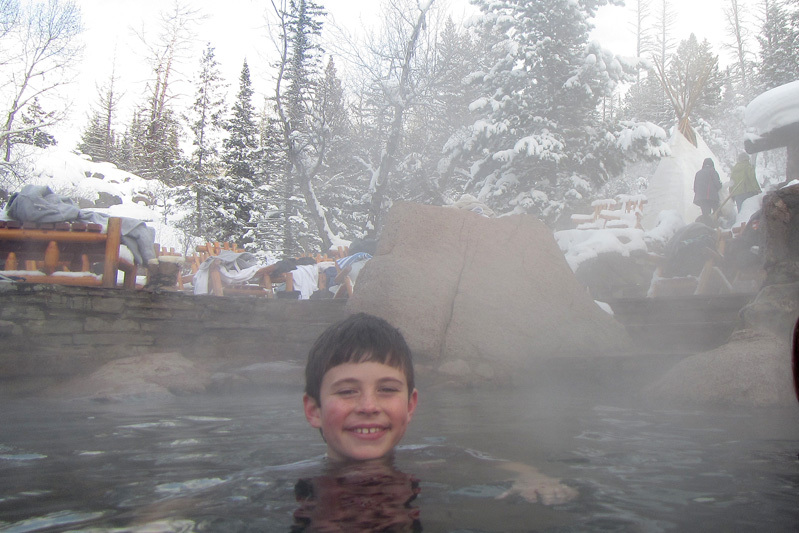 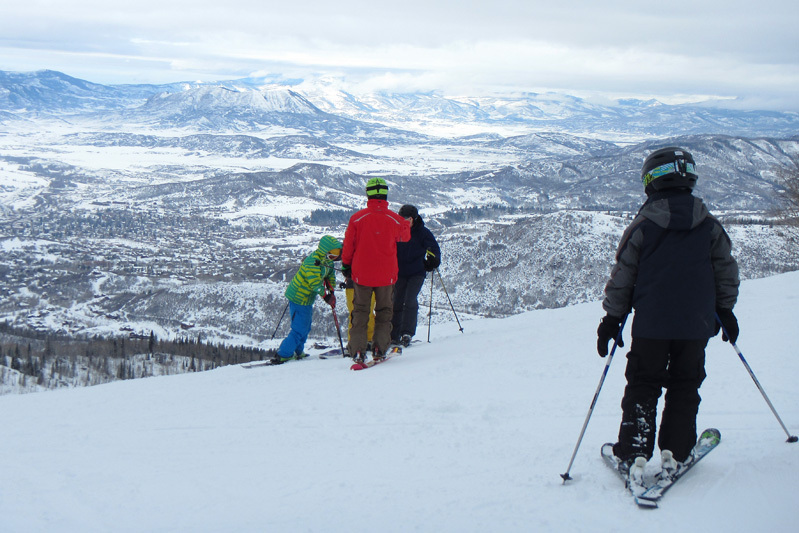 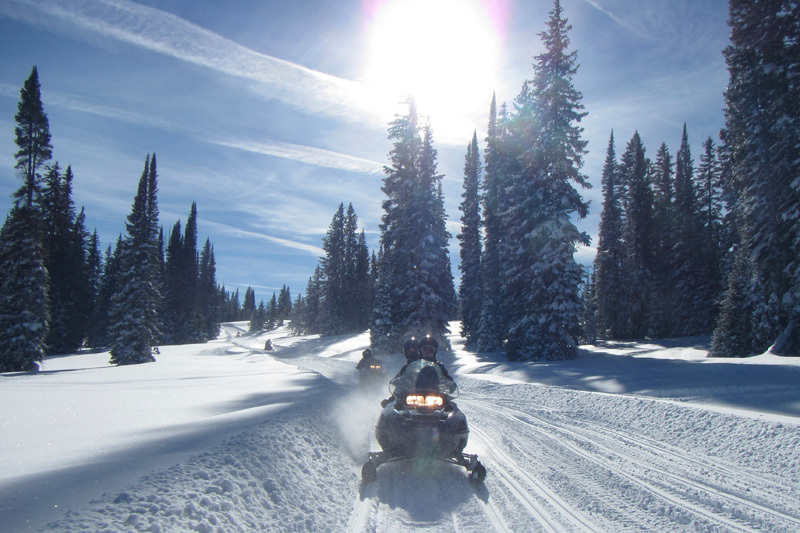 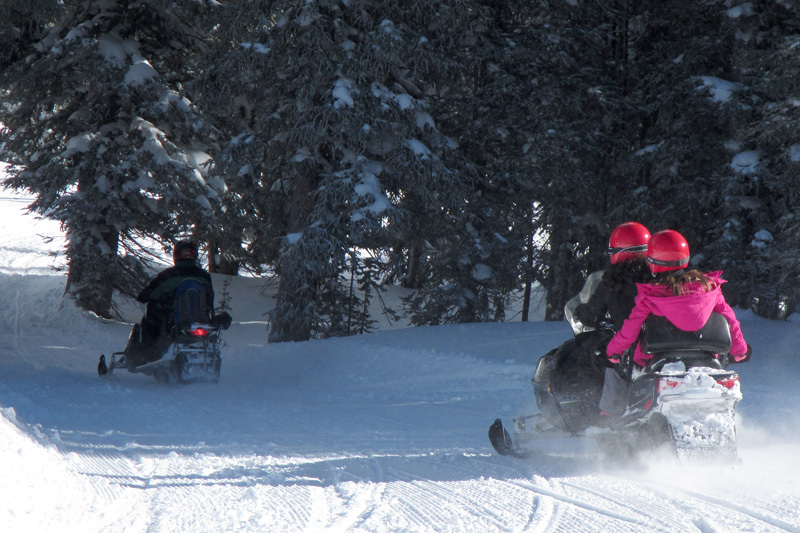 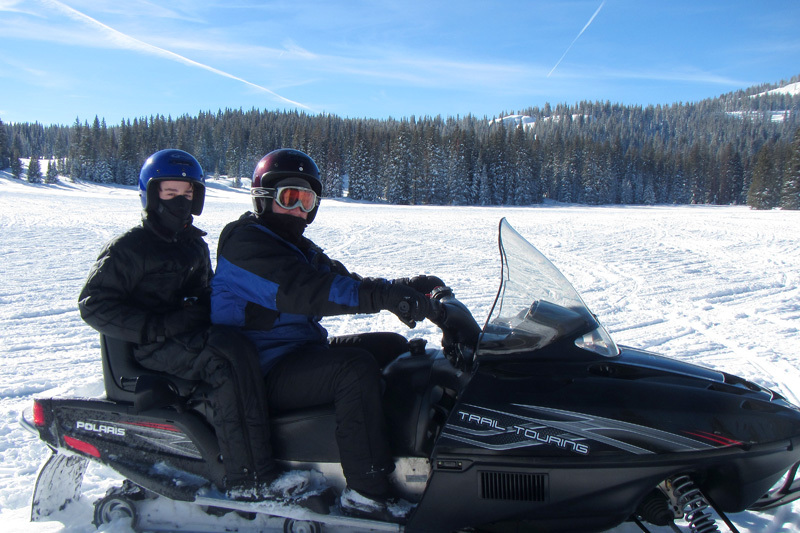 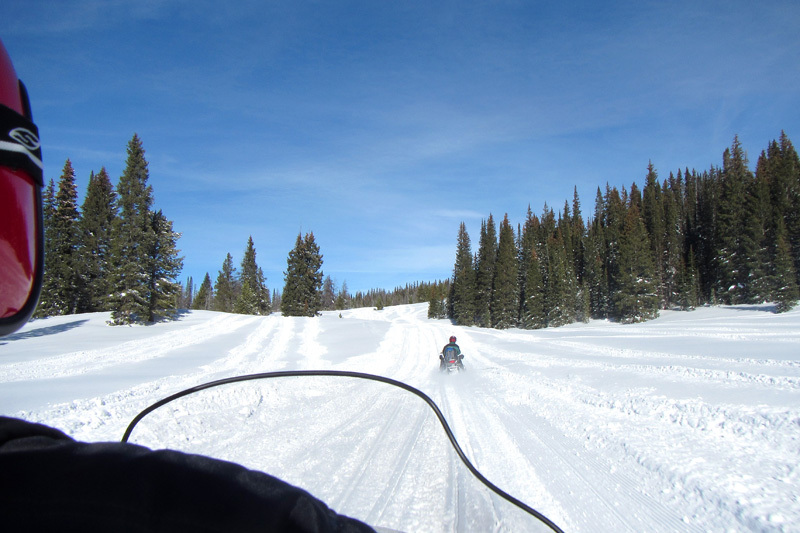 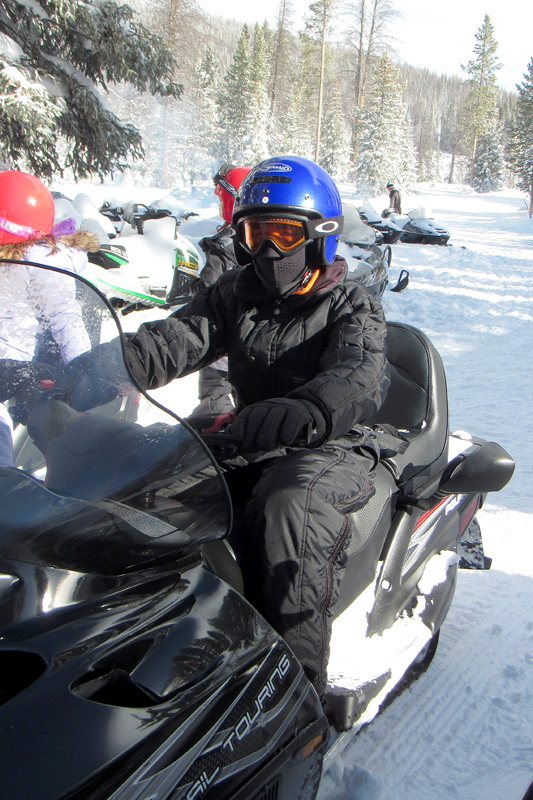 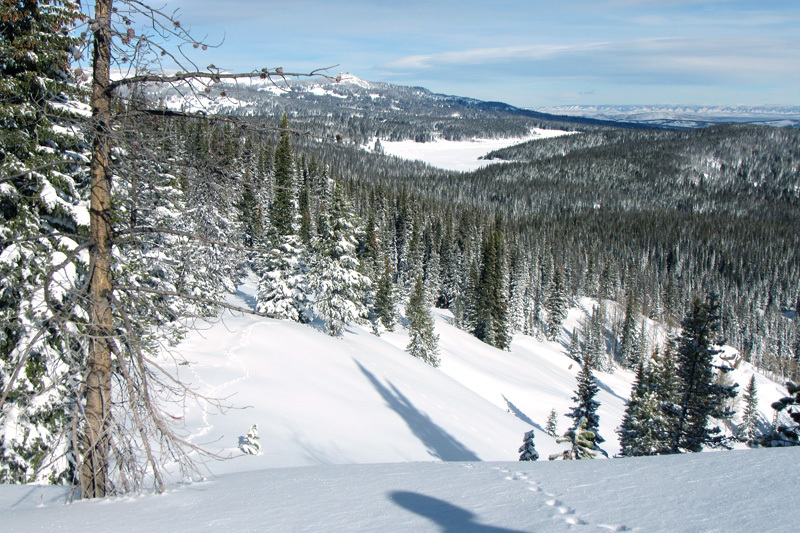 Following three perfect weather days in the Boulder area we headed up to Steamboat for a variety of winter activities and fun with close friends. 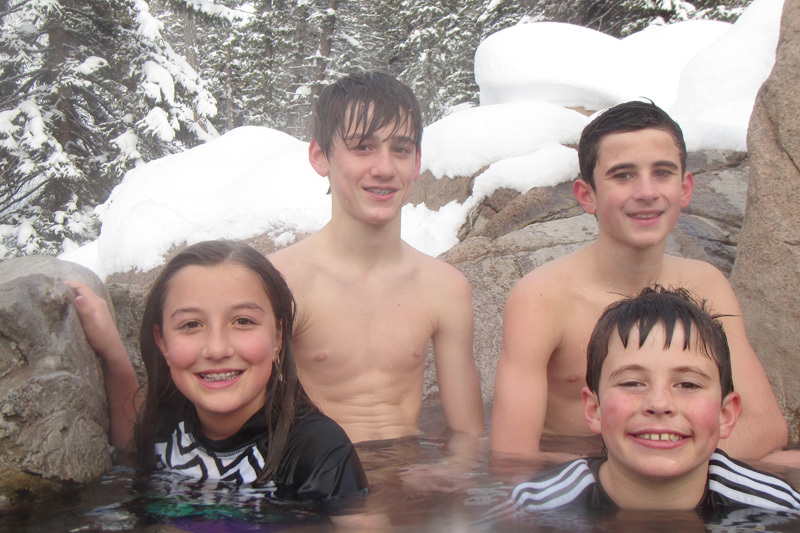 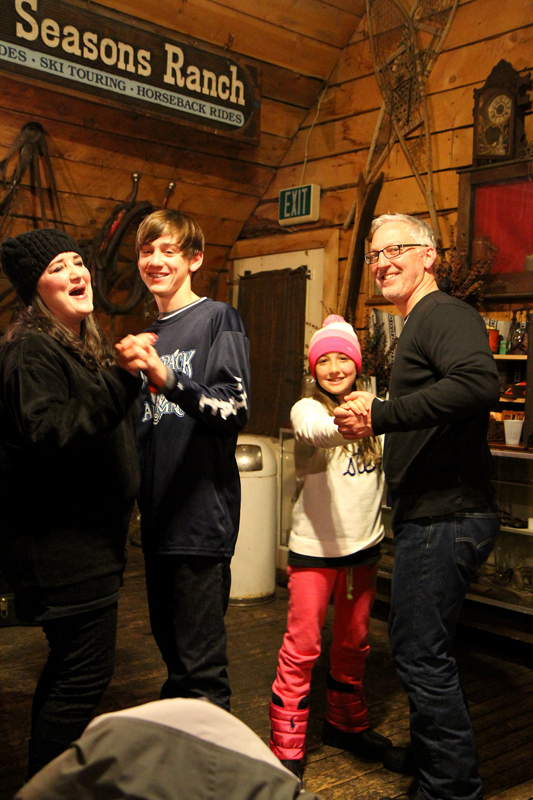 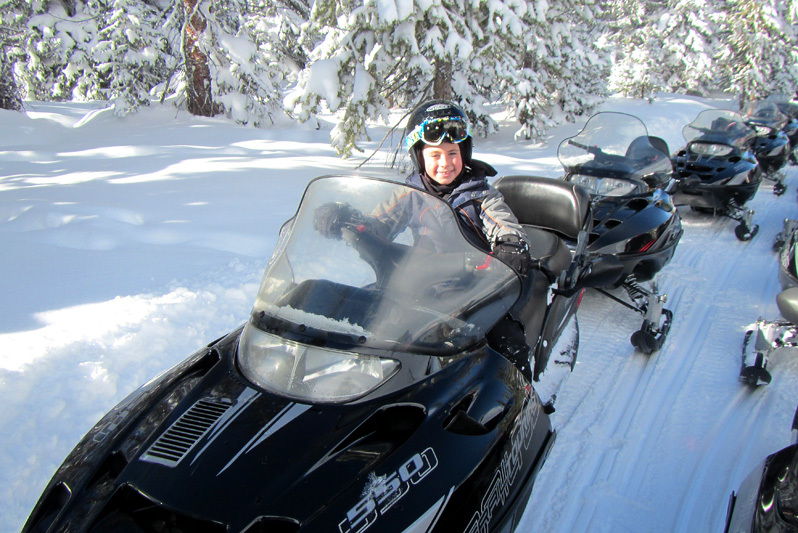 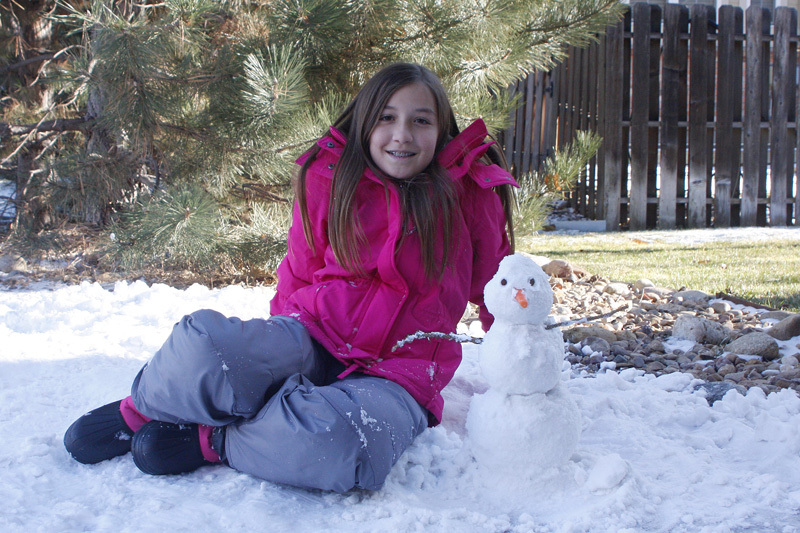 Click Here for the Video of the Lewis Family Colorado Adventure!!! 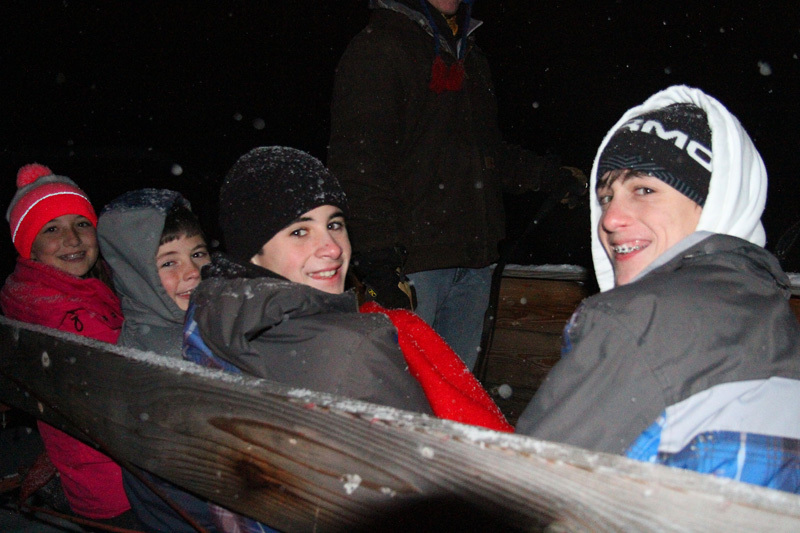 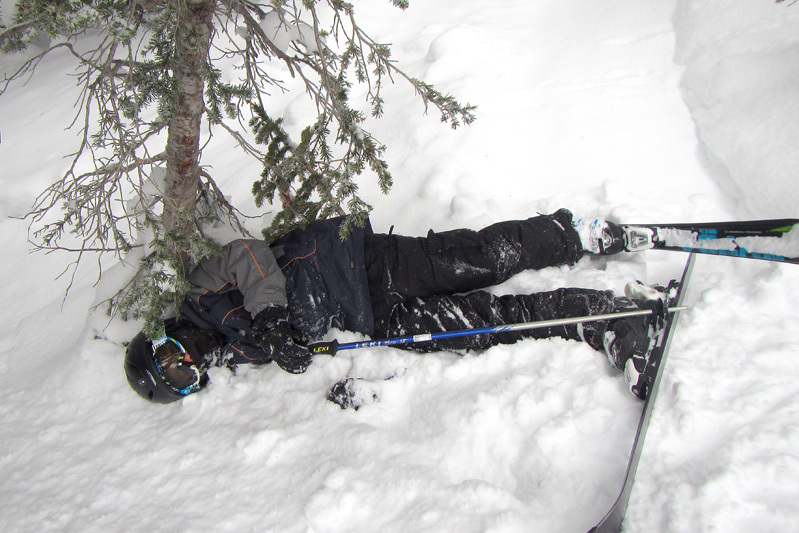 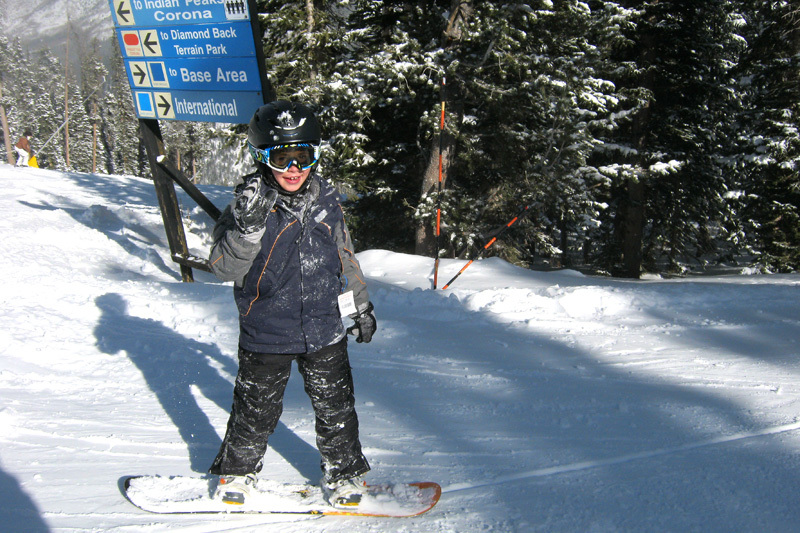 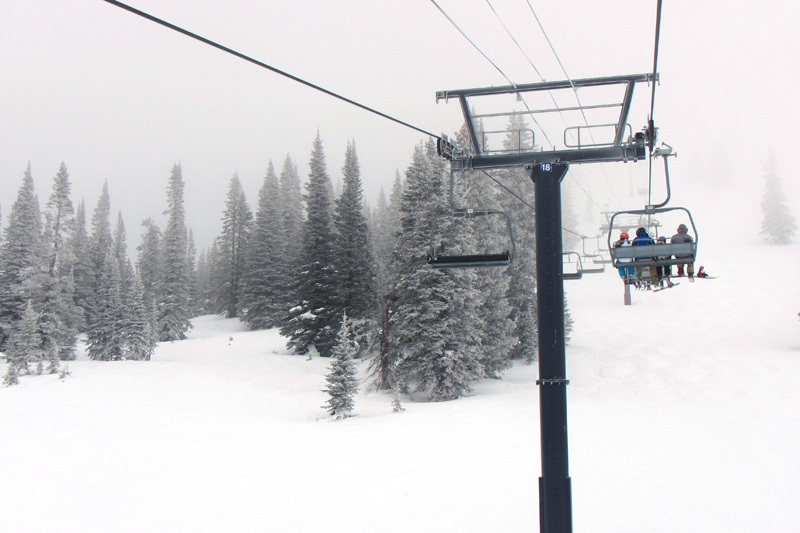 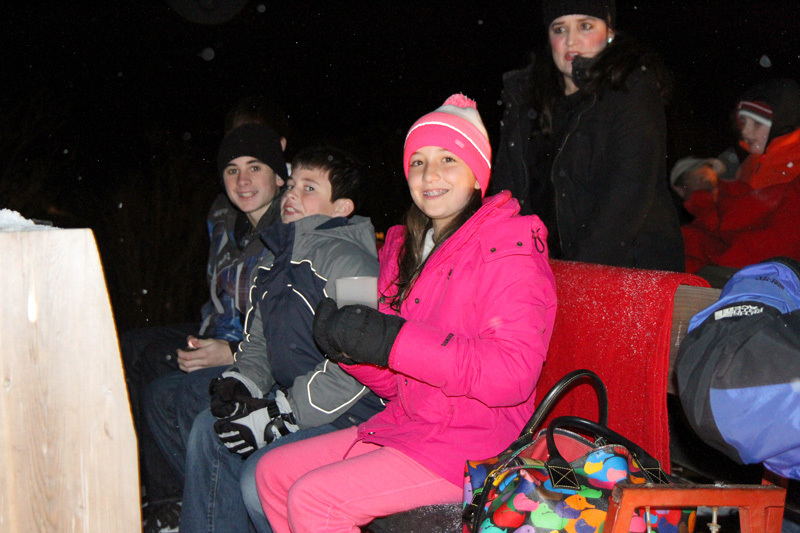 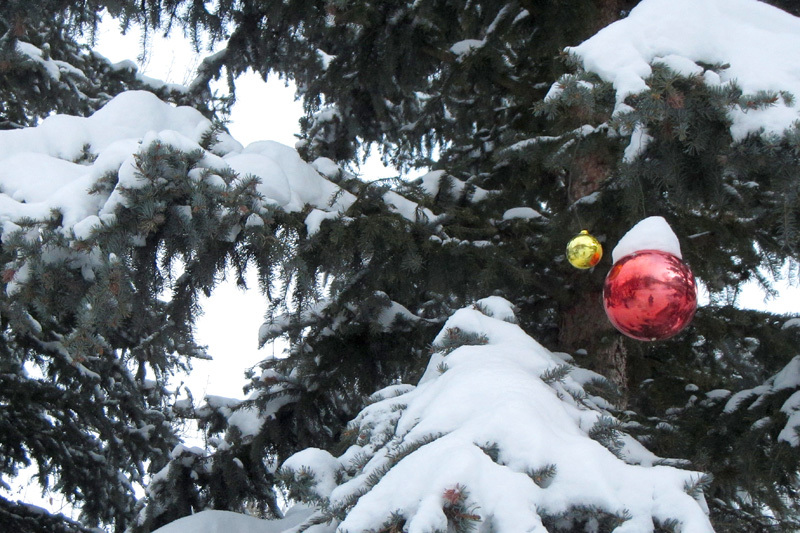 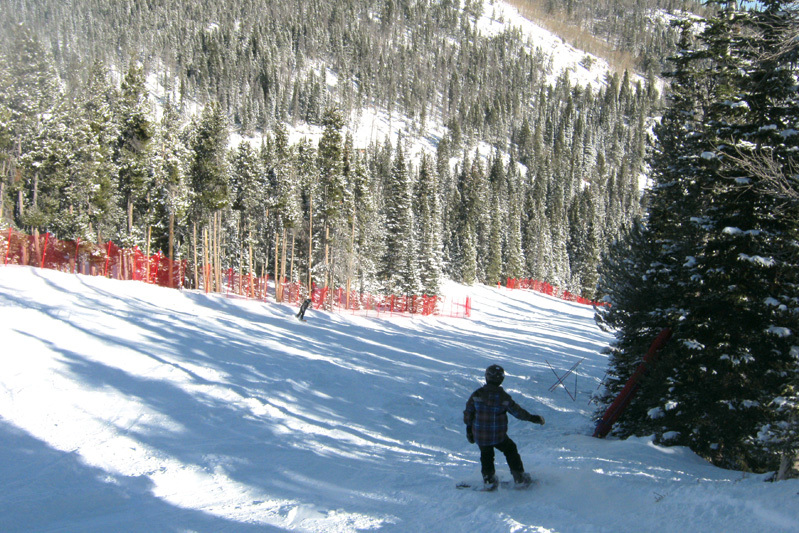 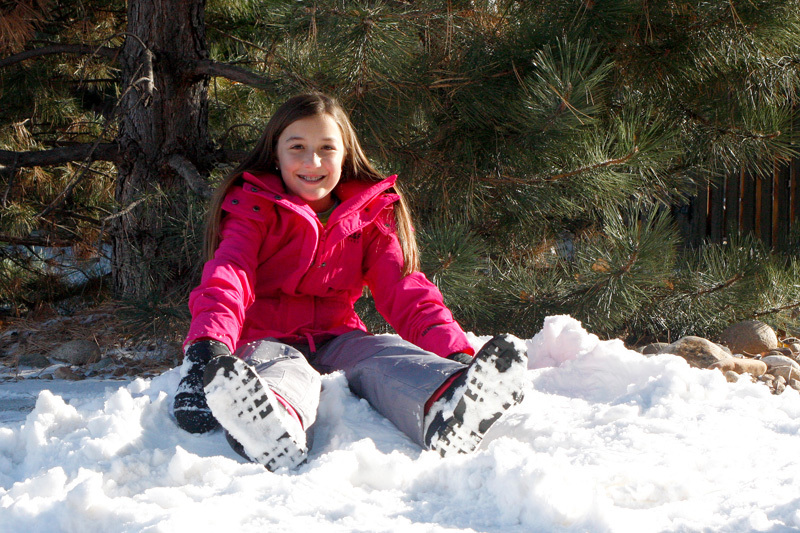 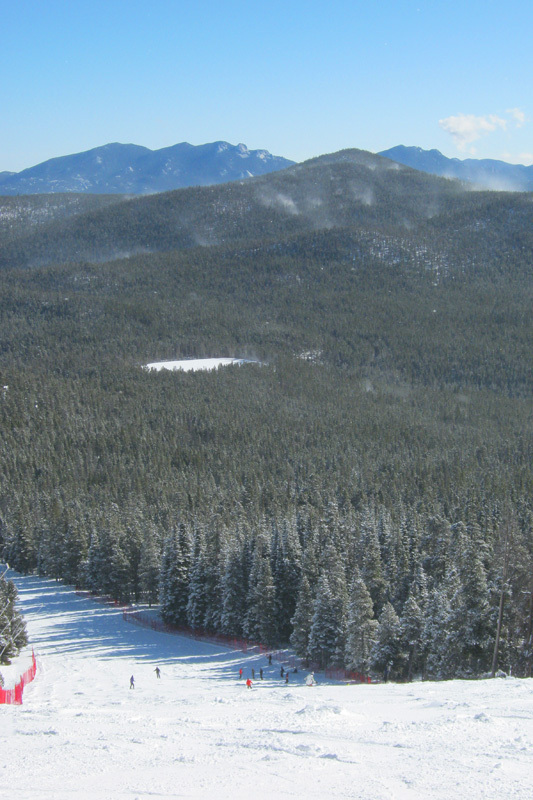 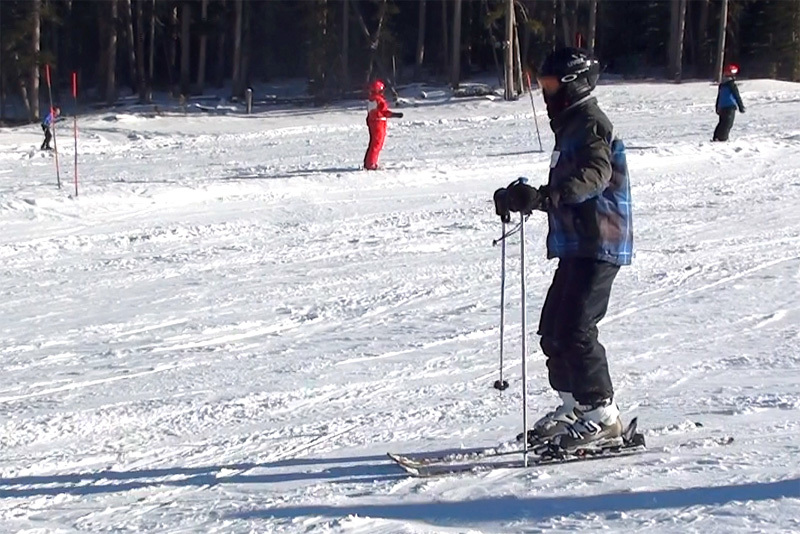 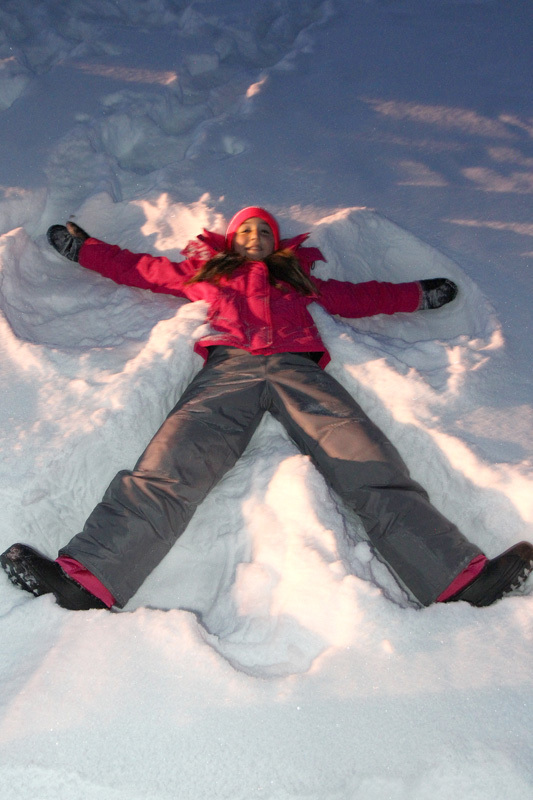 Click Here for more 2013/2014 Snowsports Highlights!!! 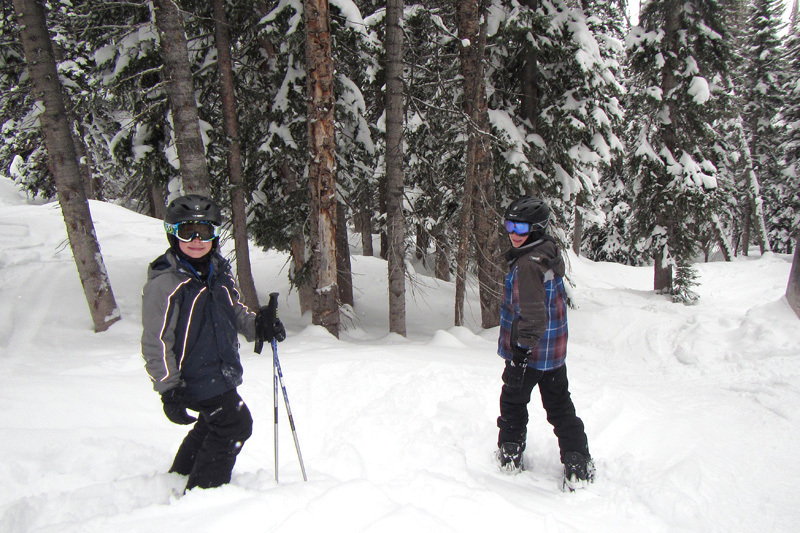 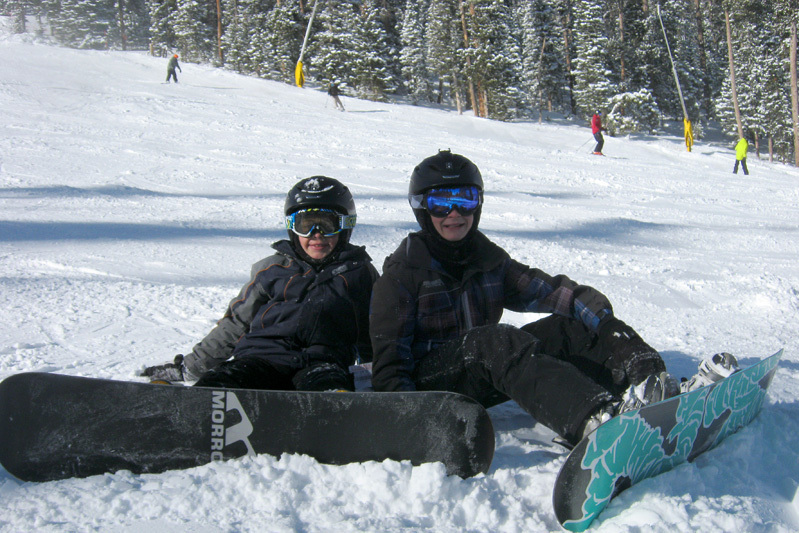 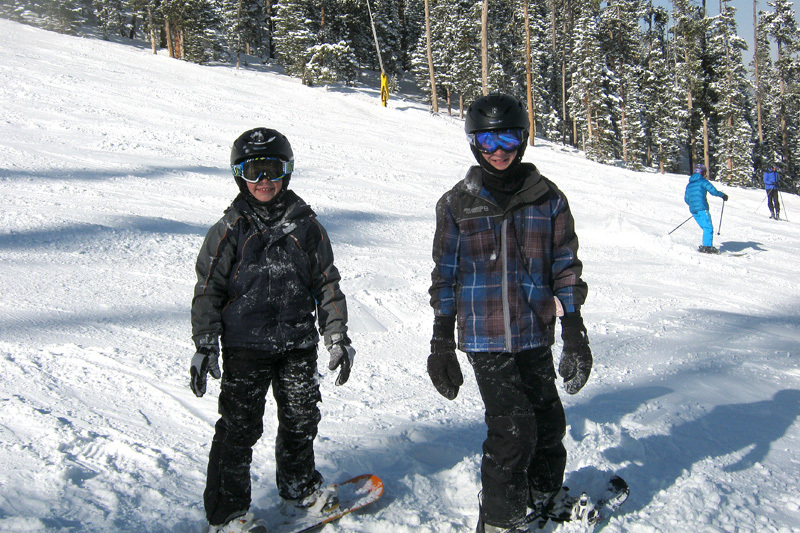 The boys took advantage of a nice ski day at nearby Eldora where Kevin and Jack took lessons while Norah enjoyed her first little bit of snow on our driveway. 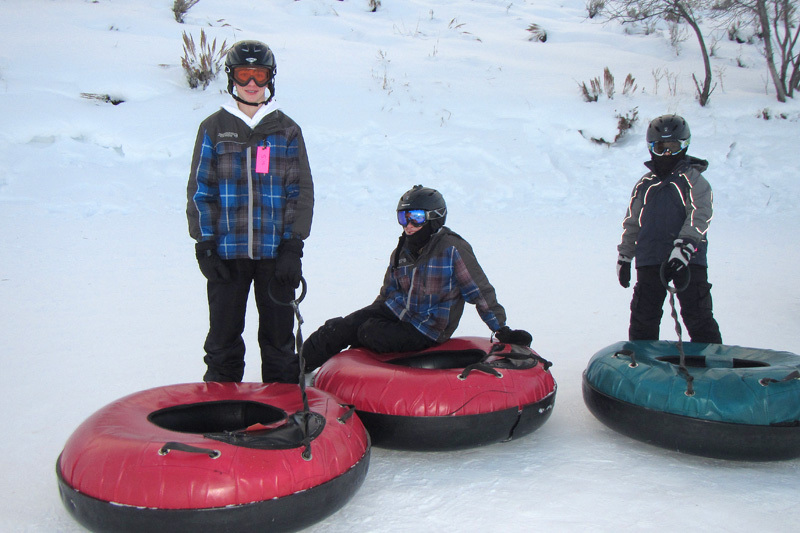 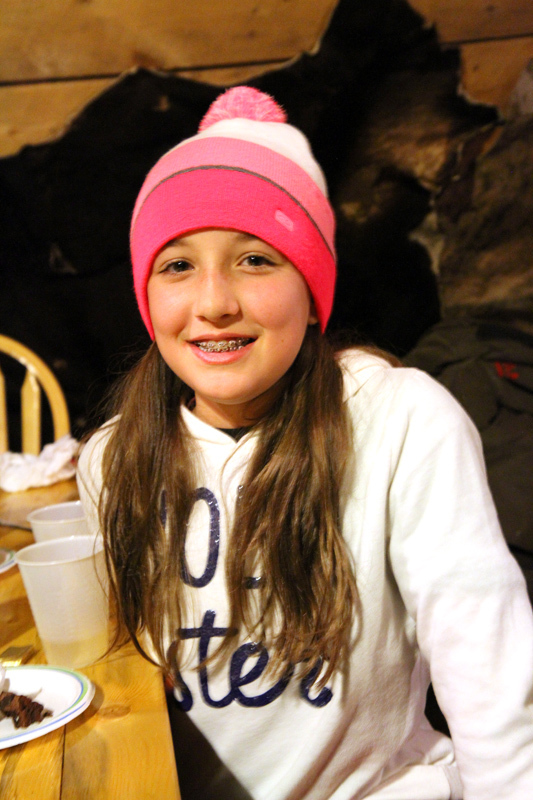 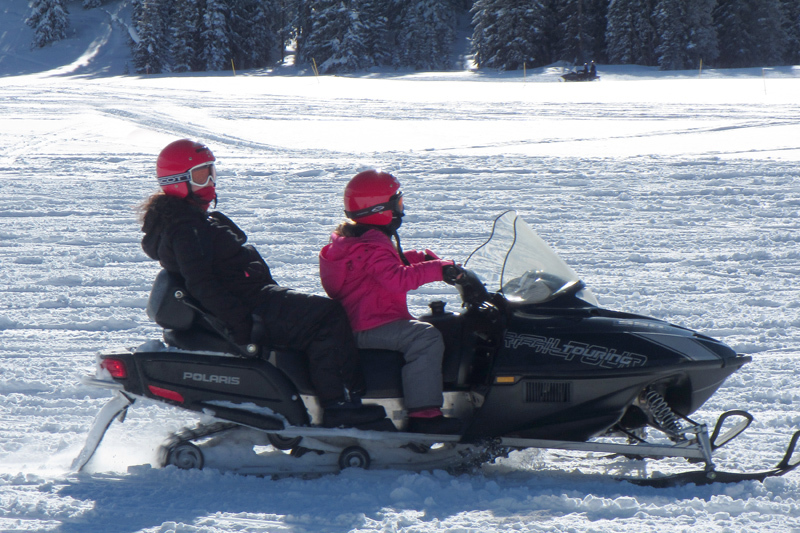 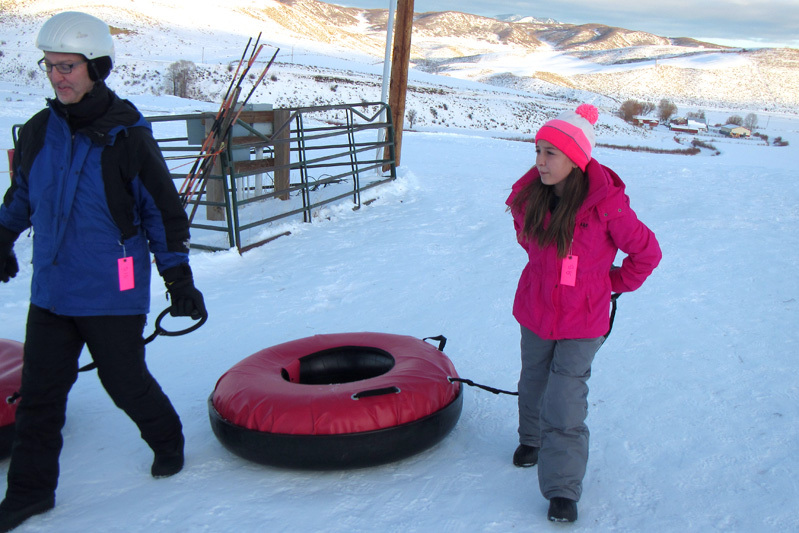 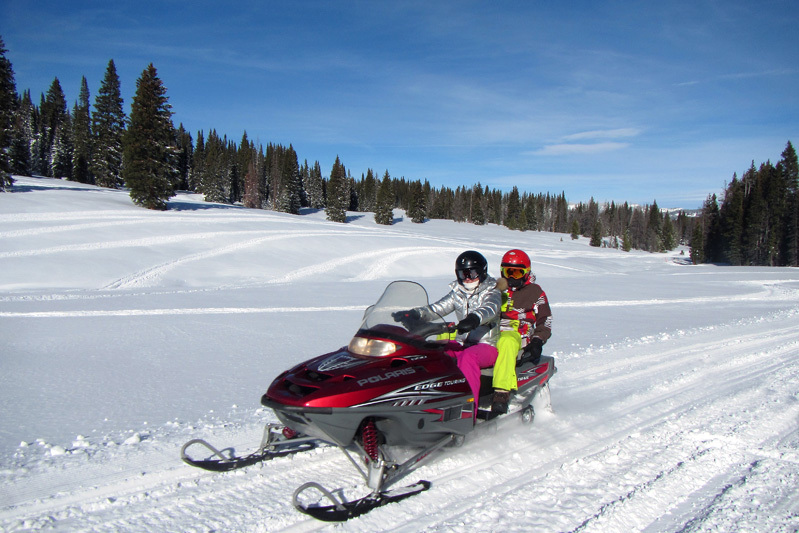 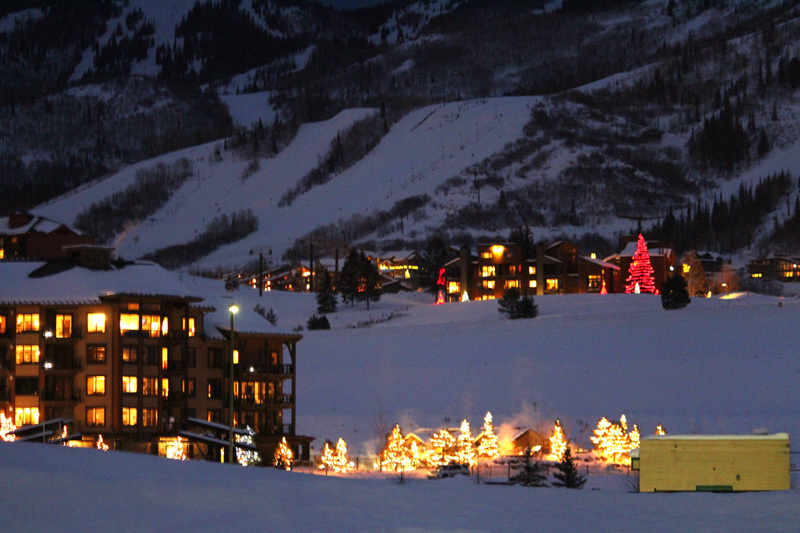 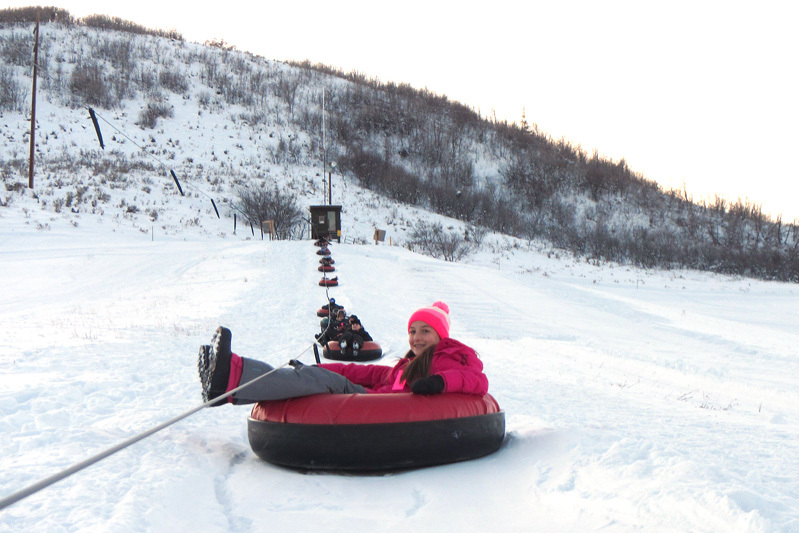 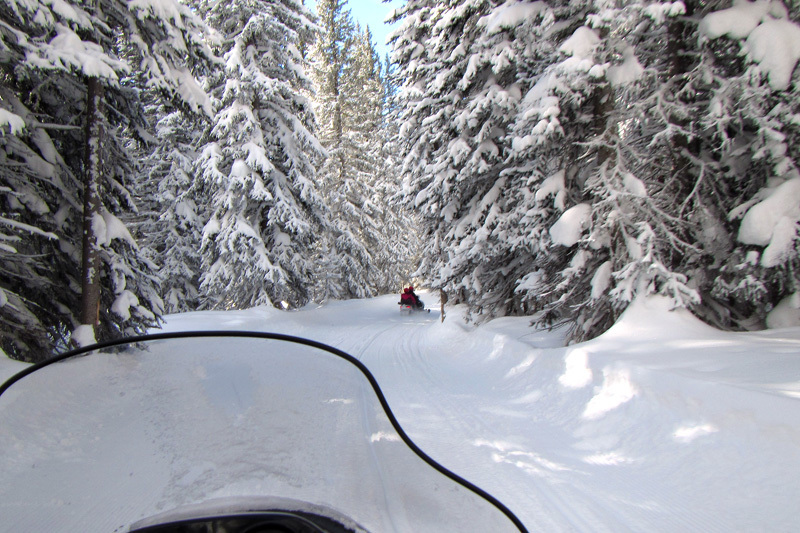 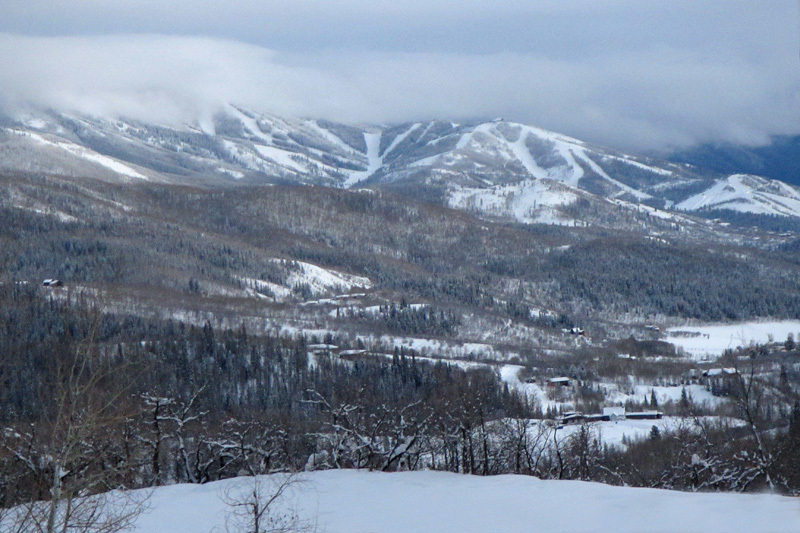 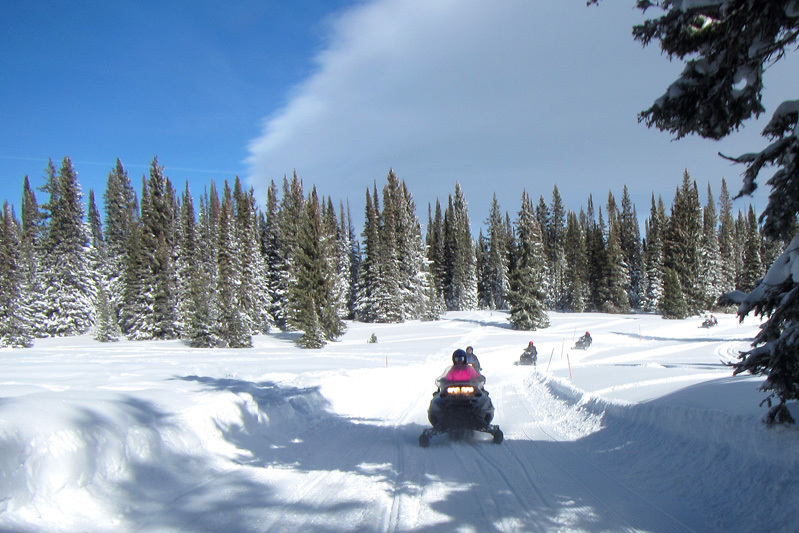 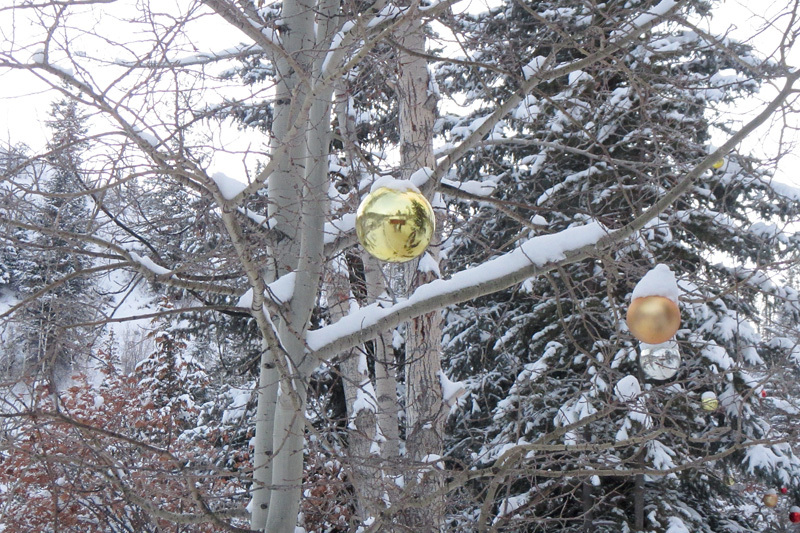 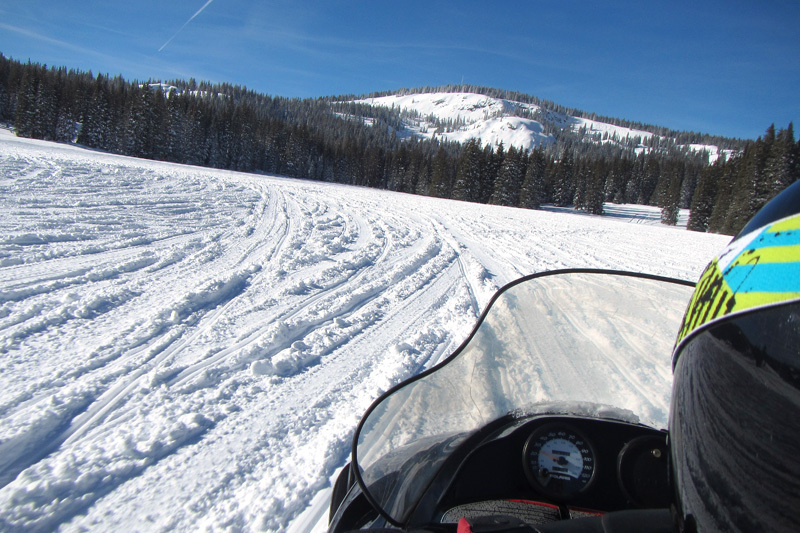 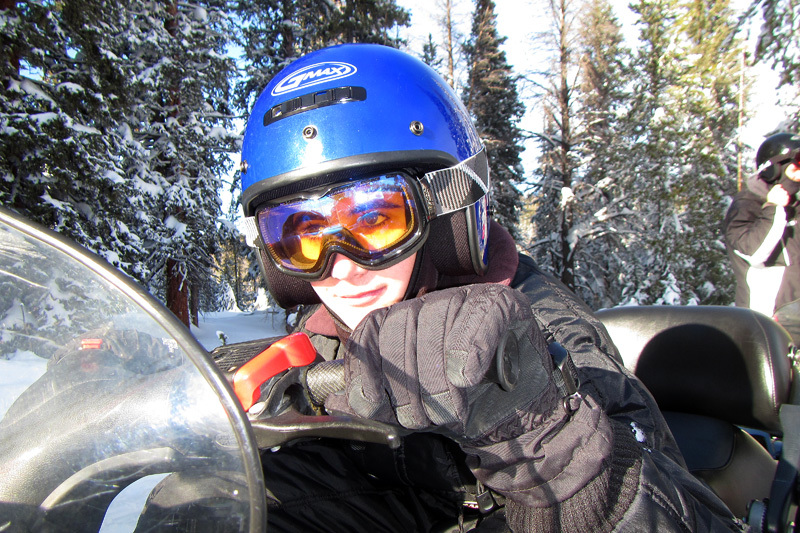 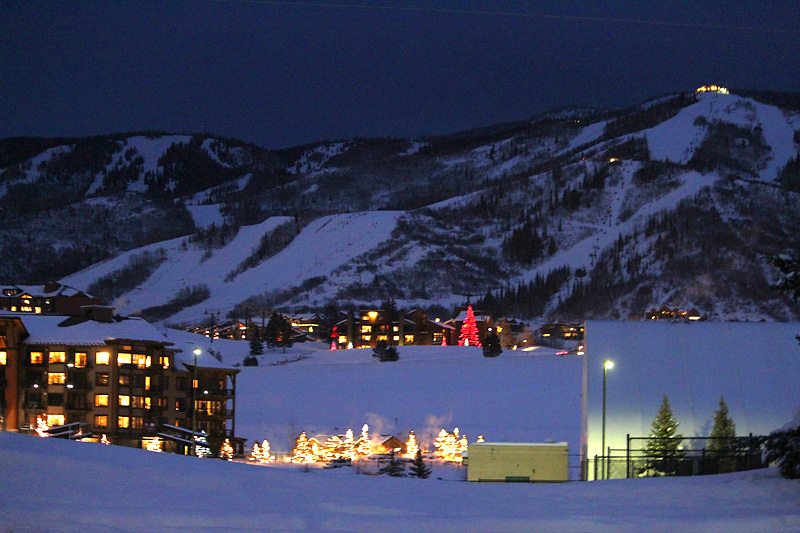 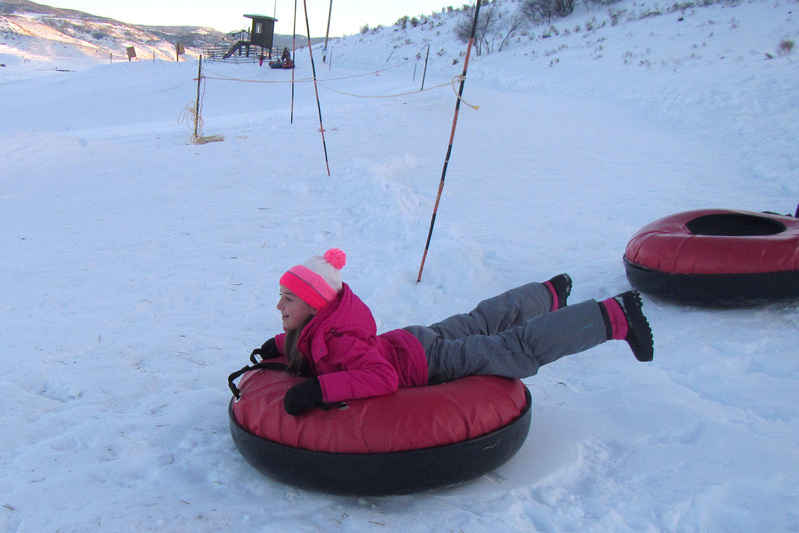 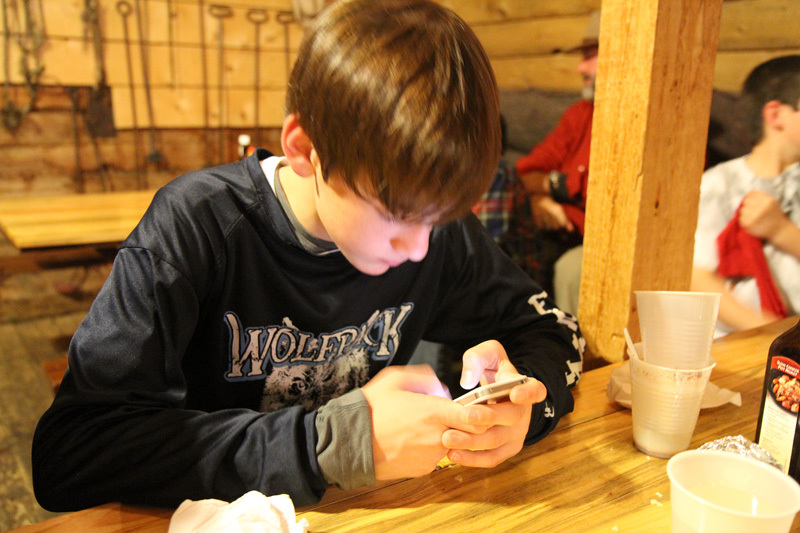 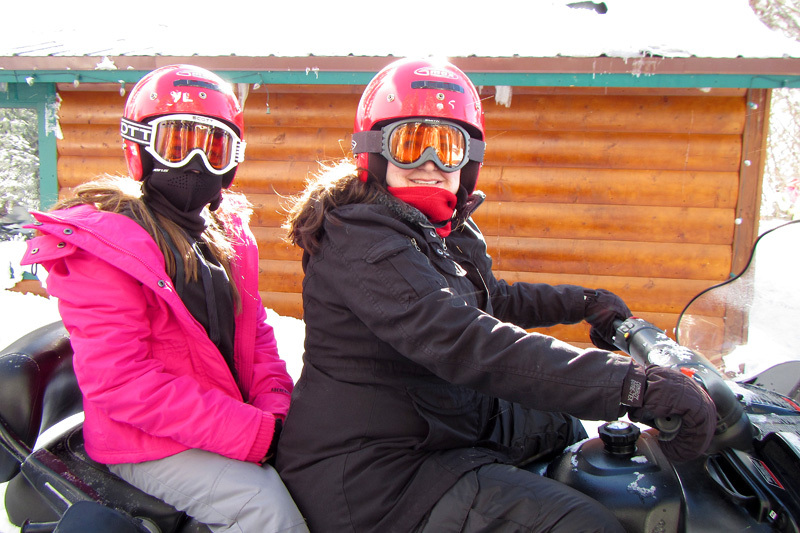 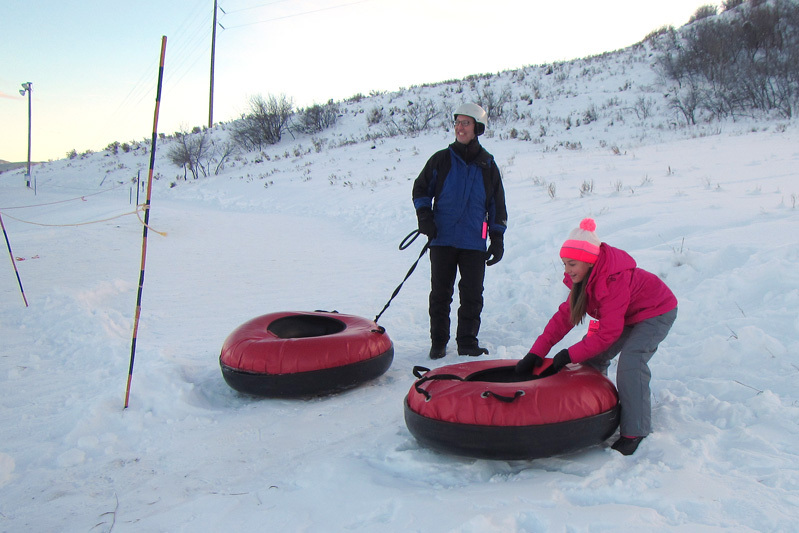 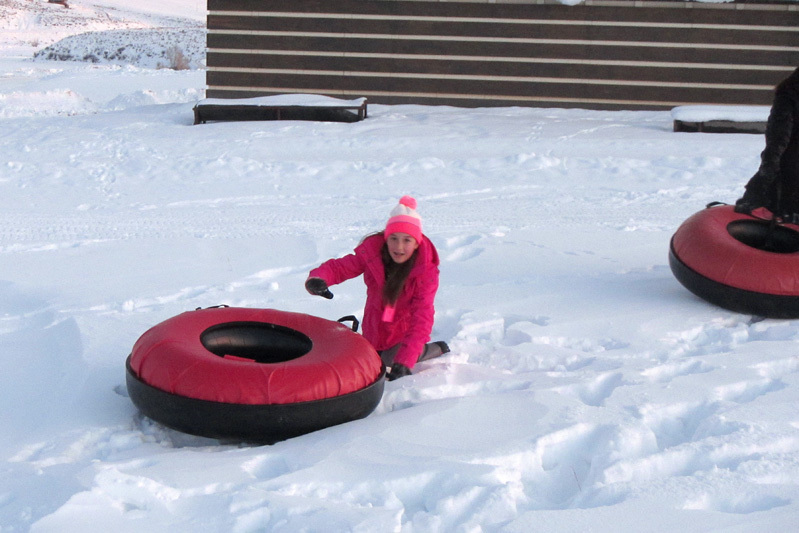 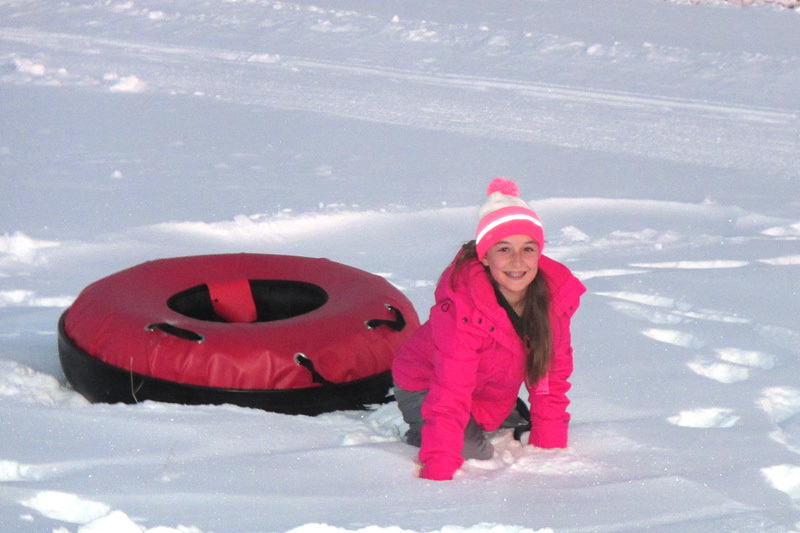 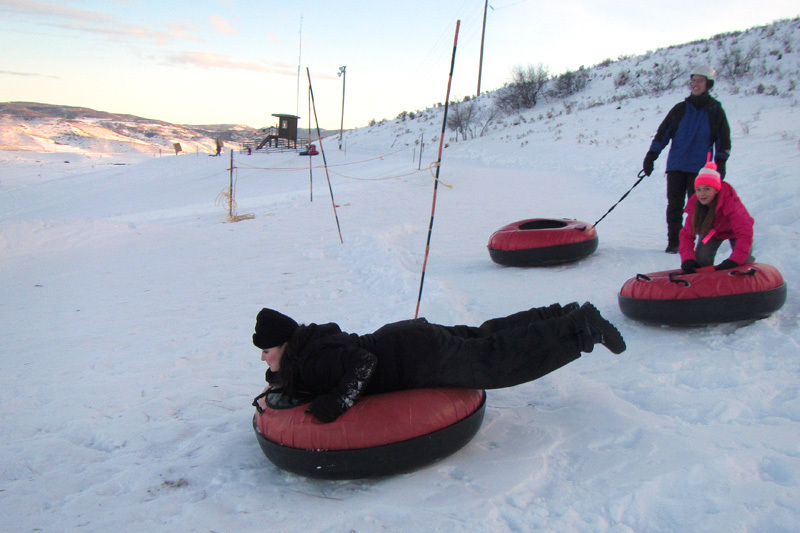 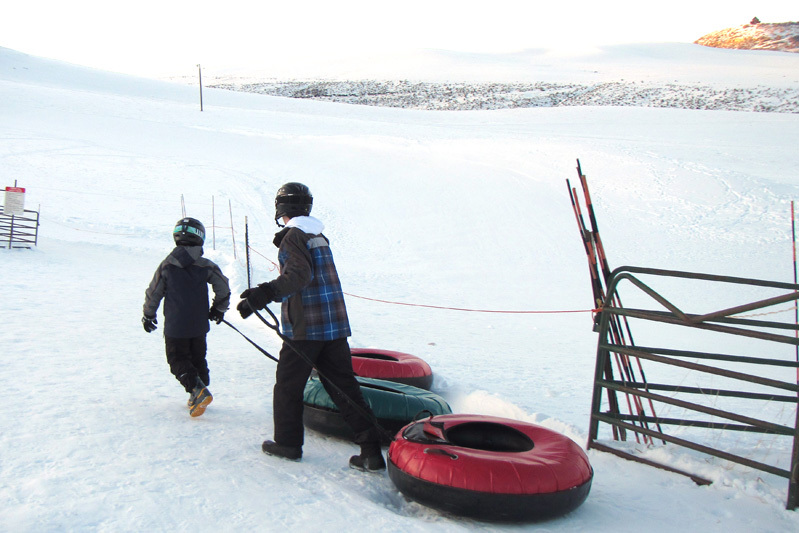 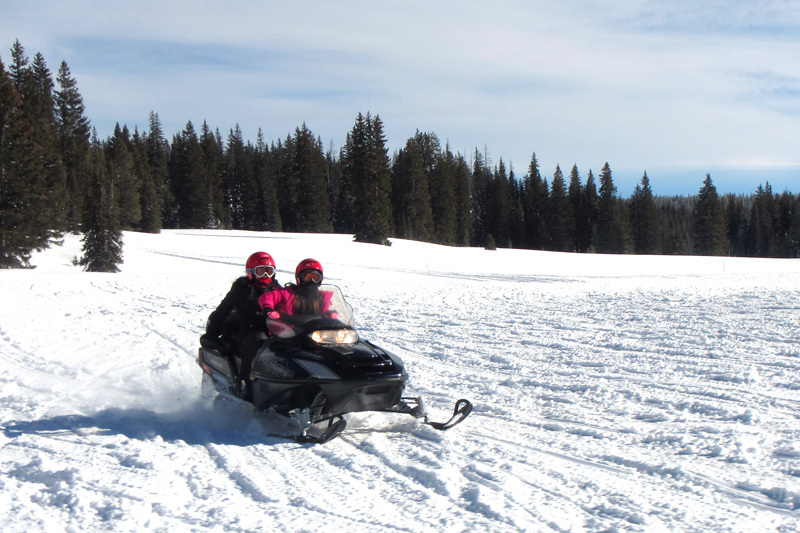 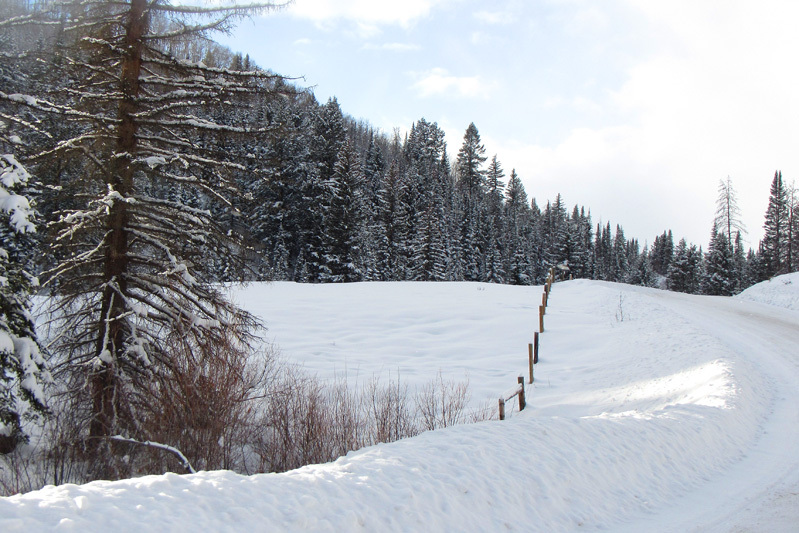 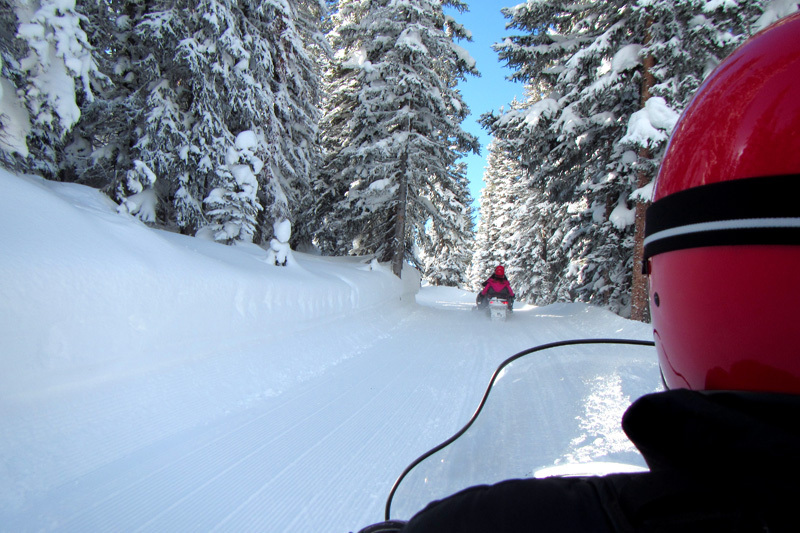 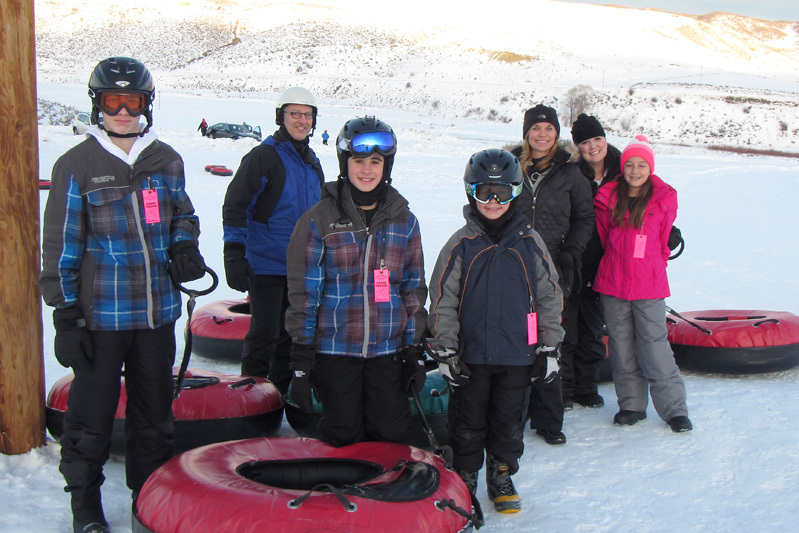 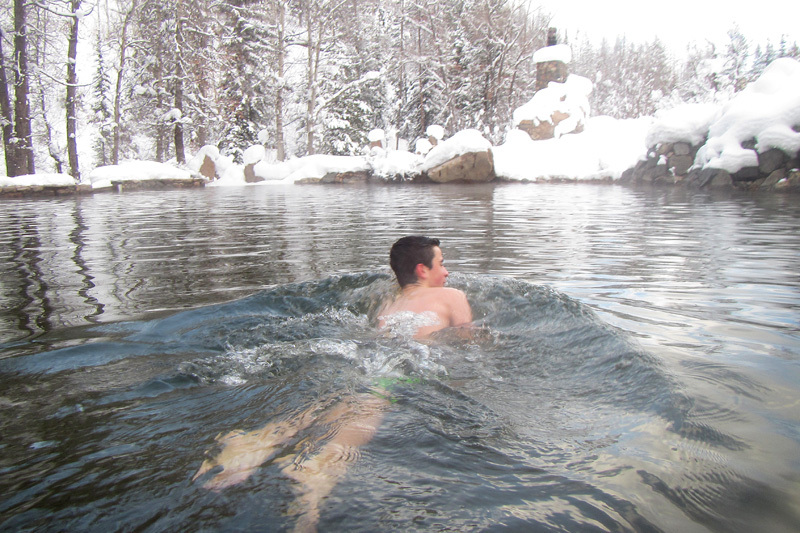 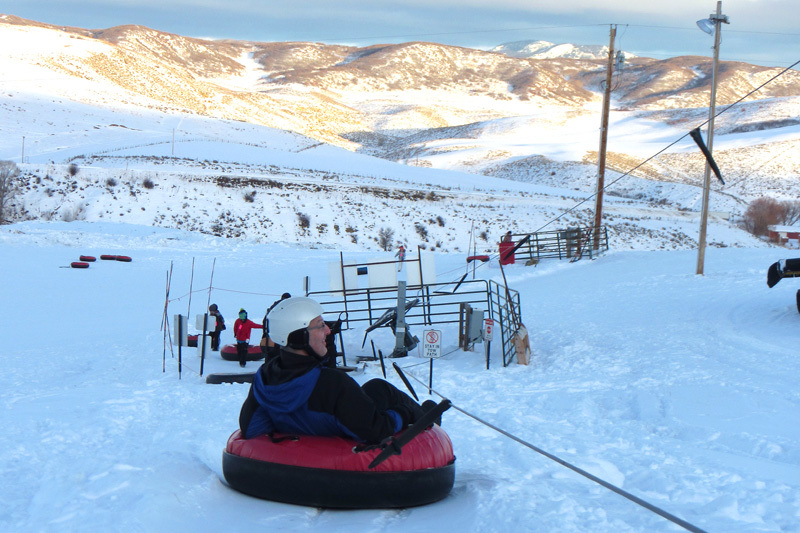 Upon arriving in Steamboat, we promptly headed out to Saddleback Ranch to enjoy some late afternoon tubing. 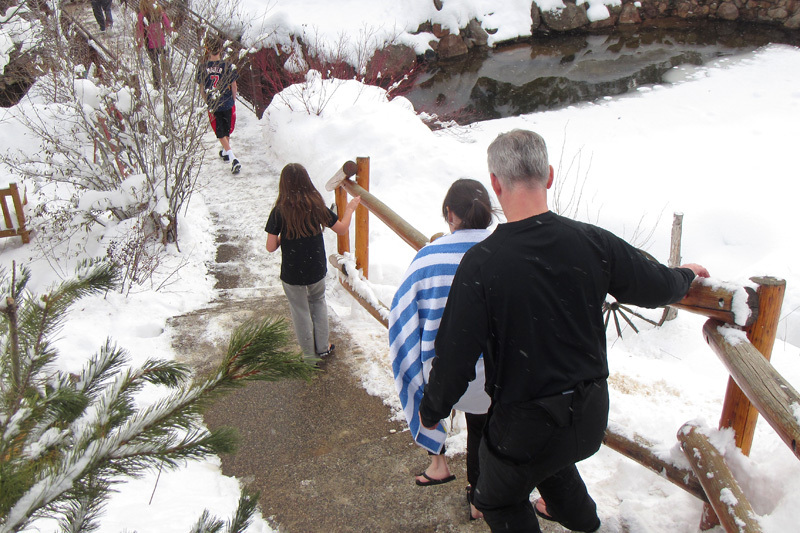 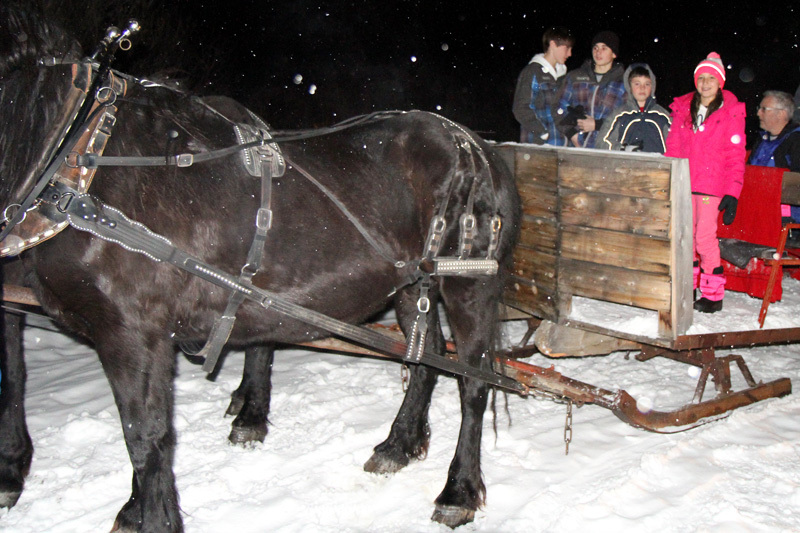 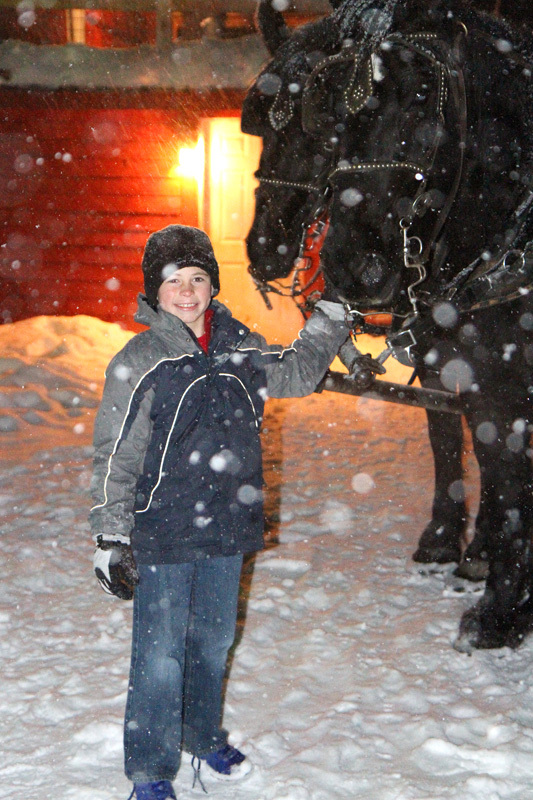 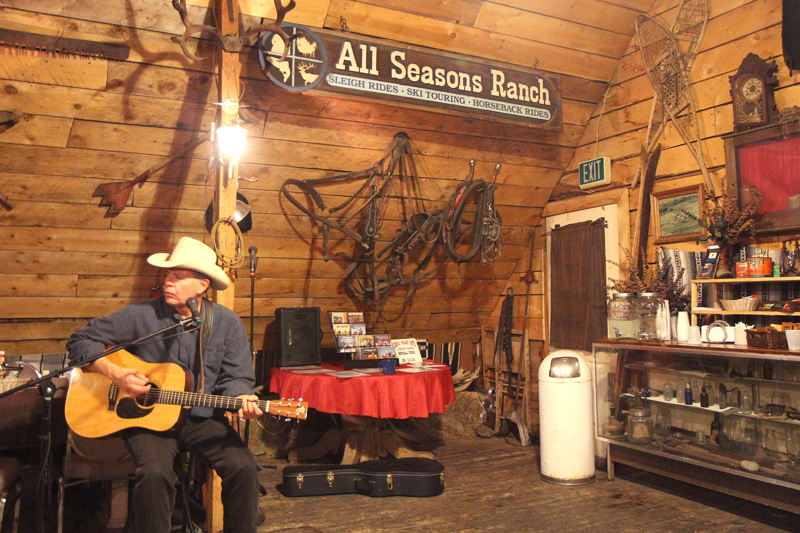 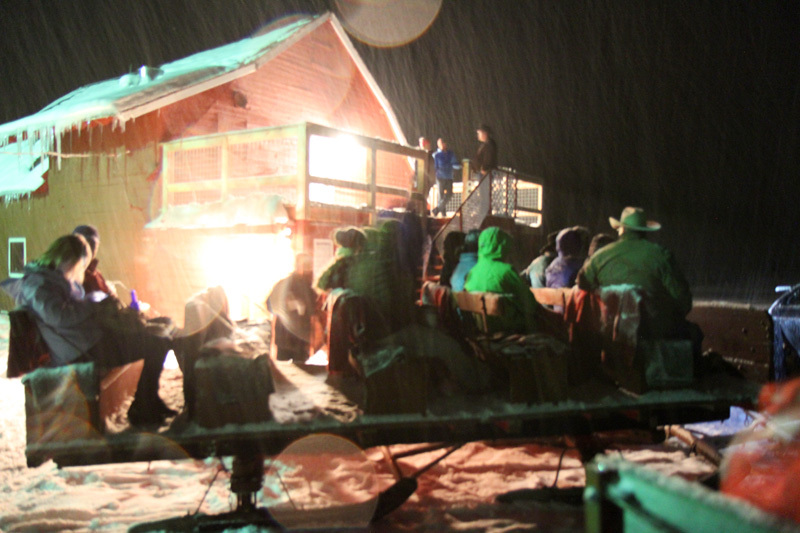 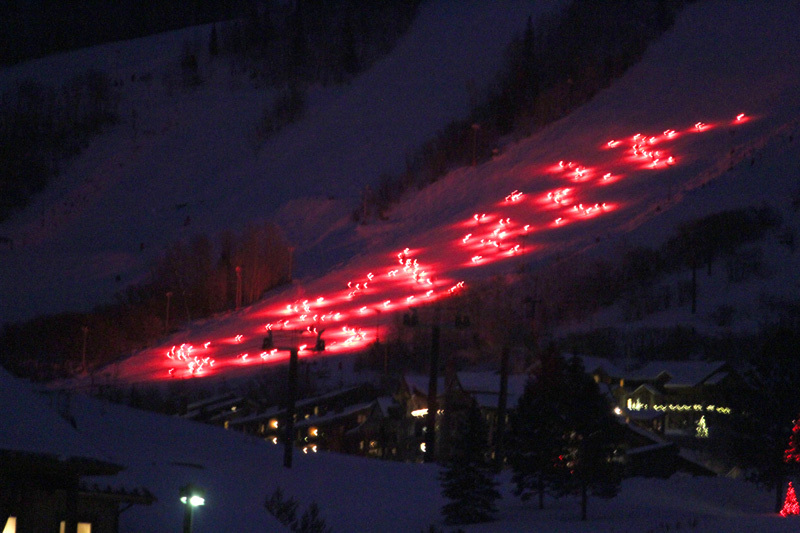 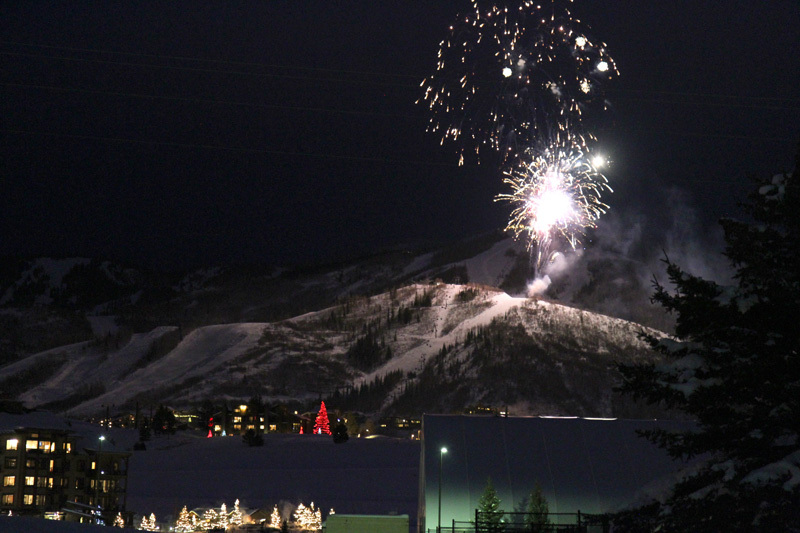 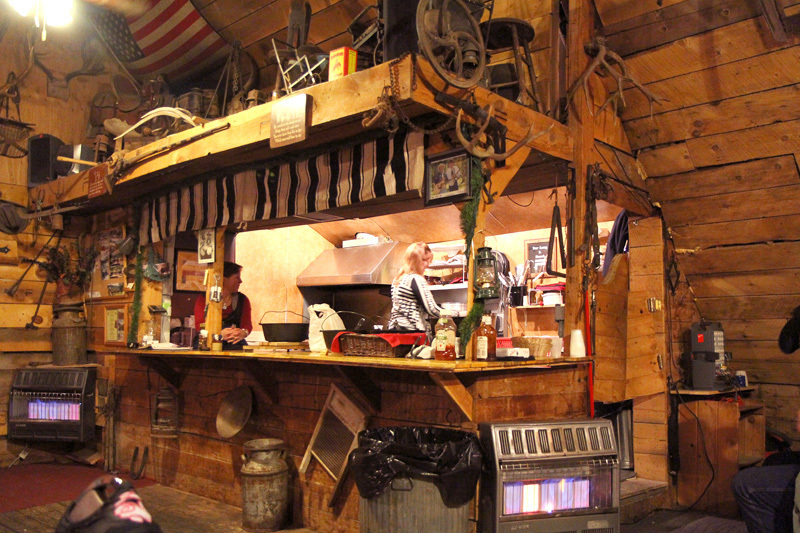 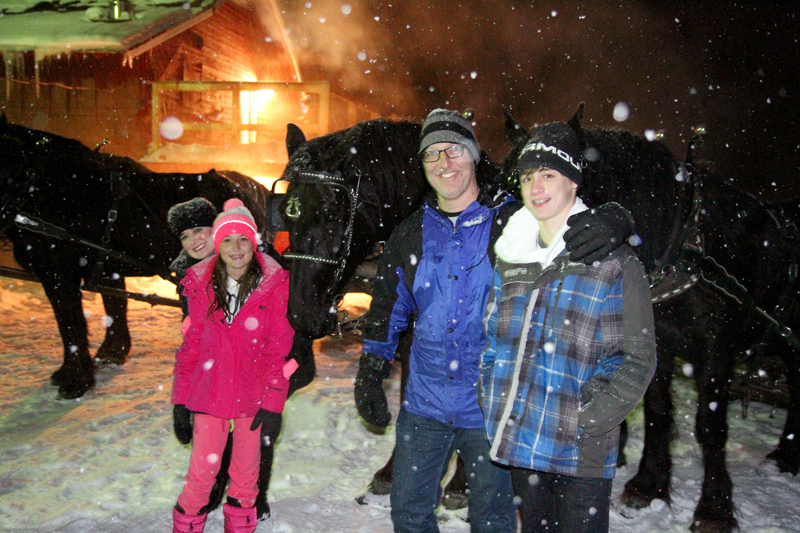 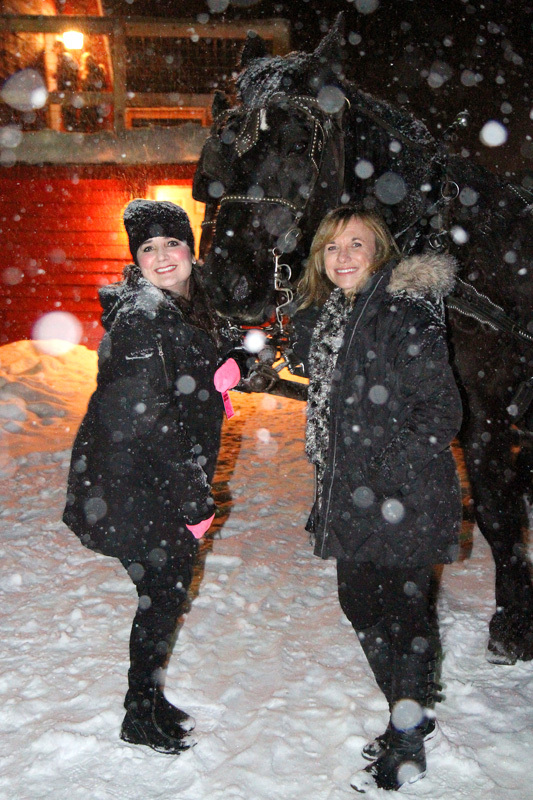 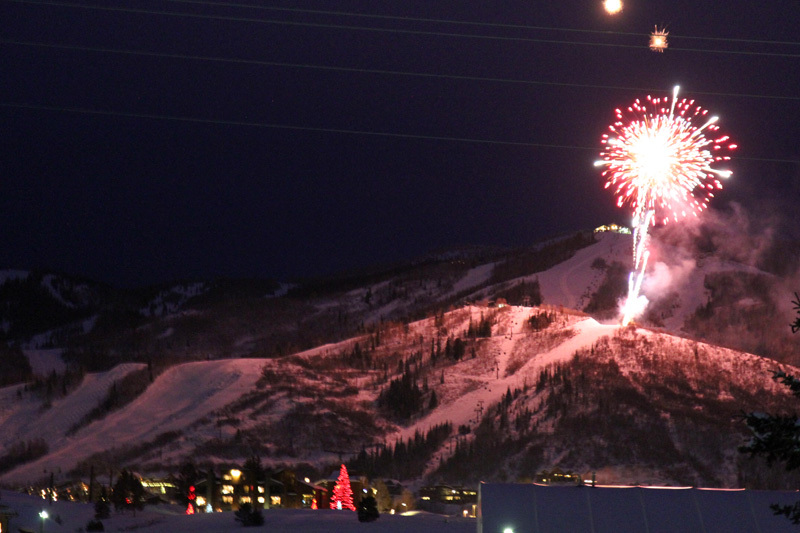 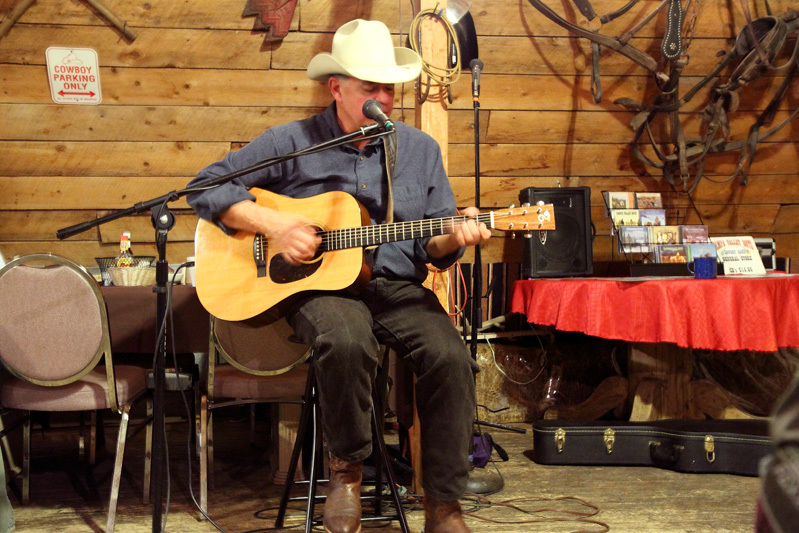 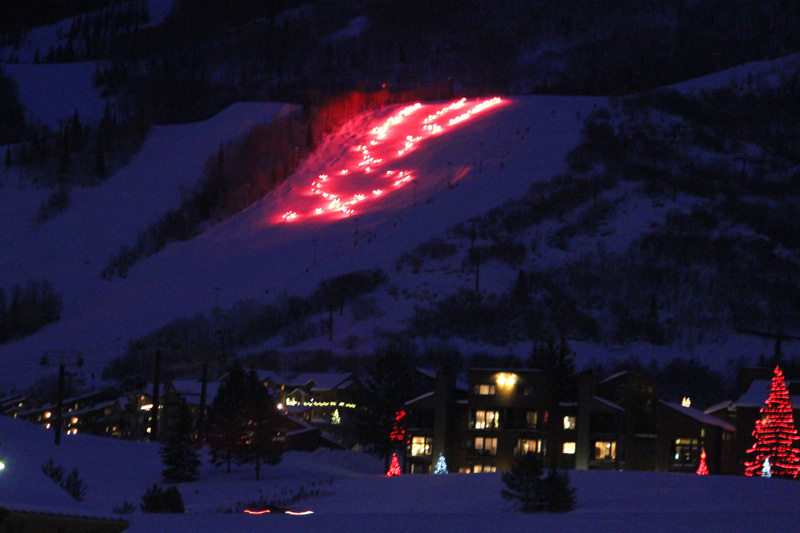 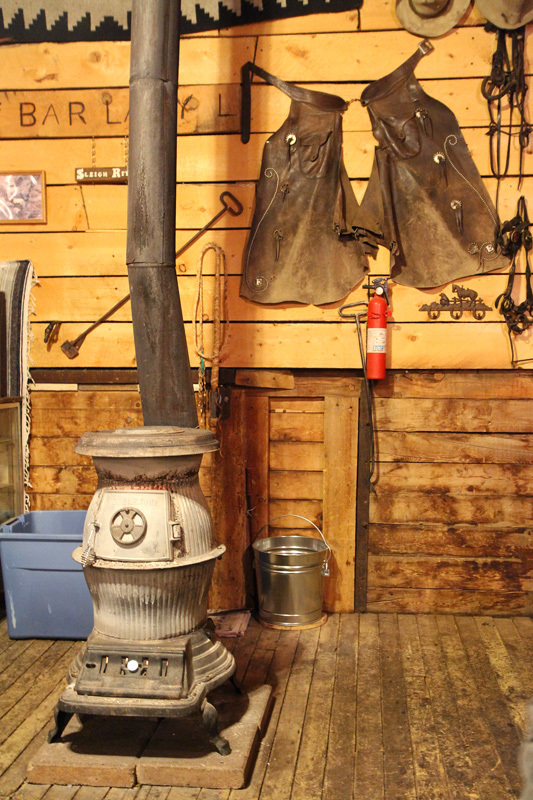 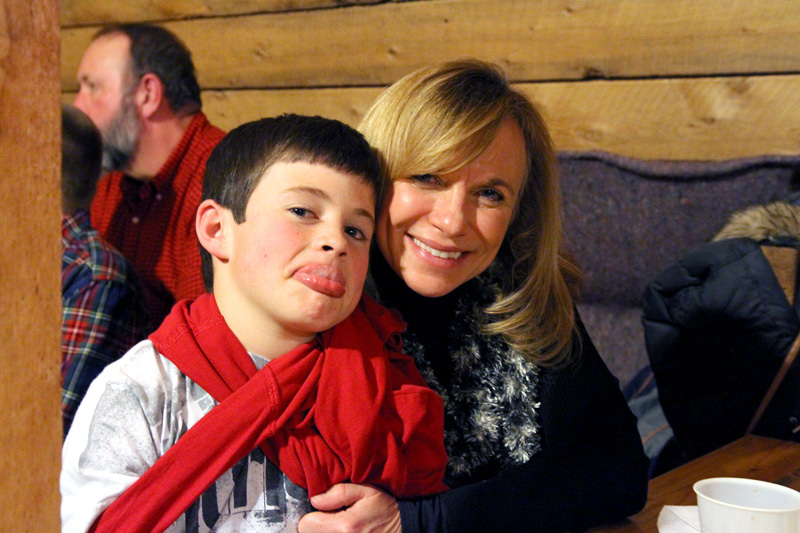 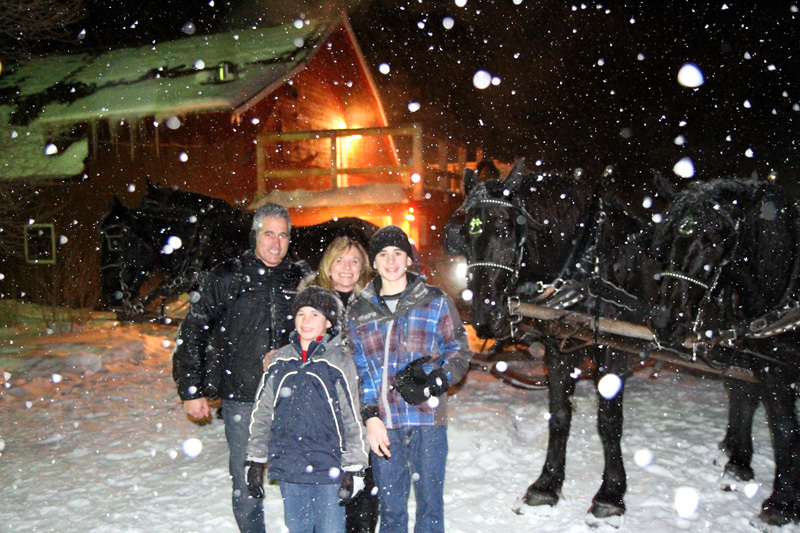 News Years Eve in Steamboat started out with the famous torch run down Heavnly Daze followed by fireworks and continued with a perfect snowny horse drawn sleigh ride and steak dinner at the Bar Lazy L ranch. 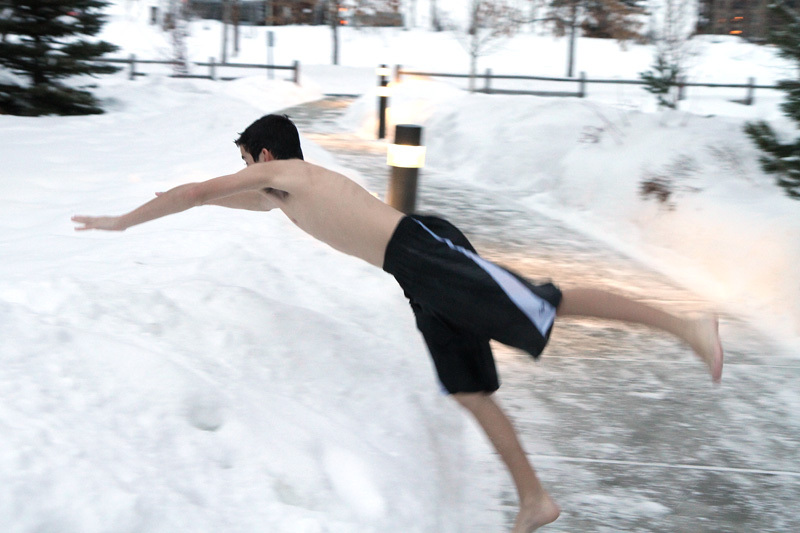 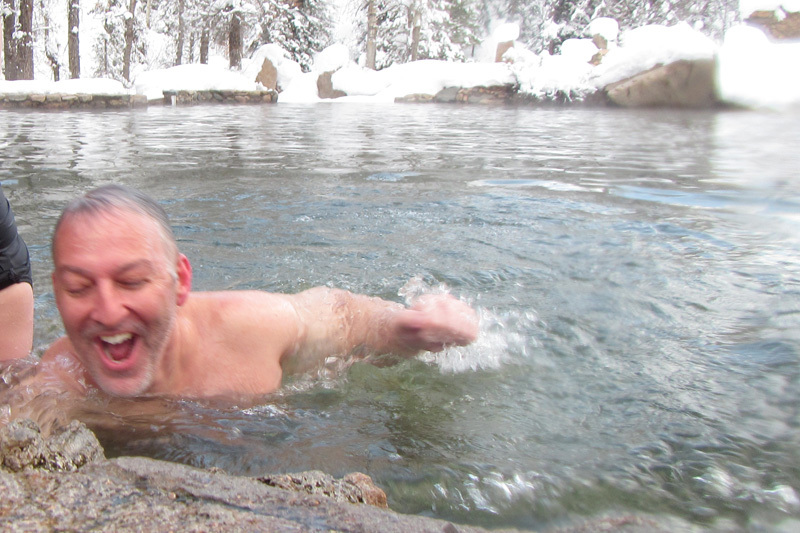 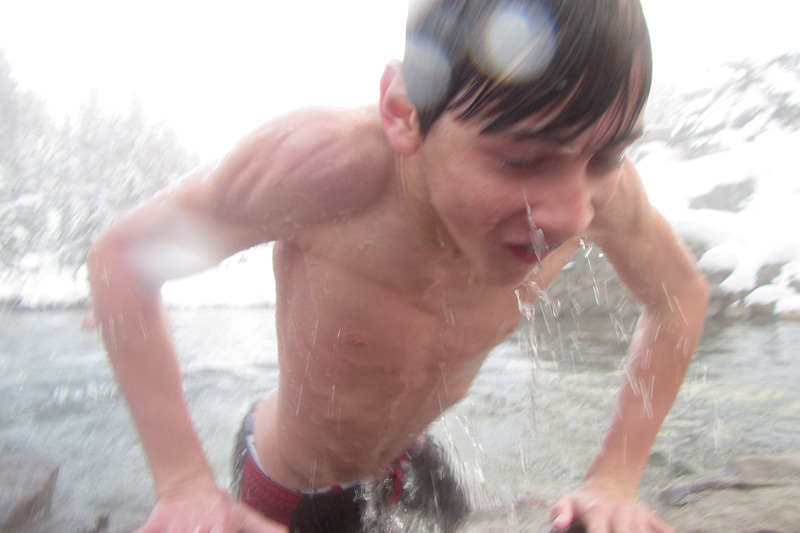 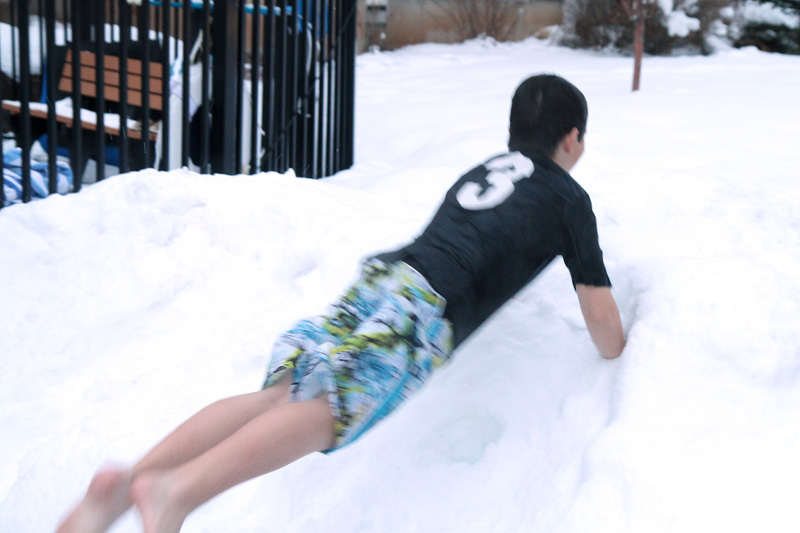 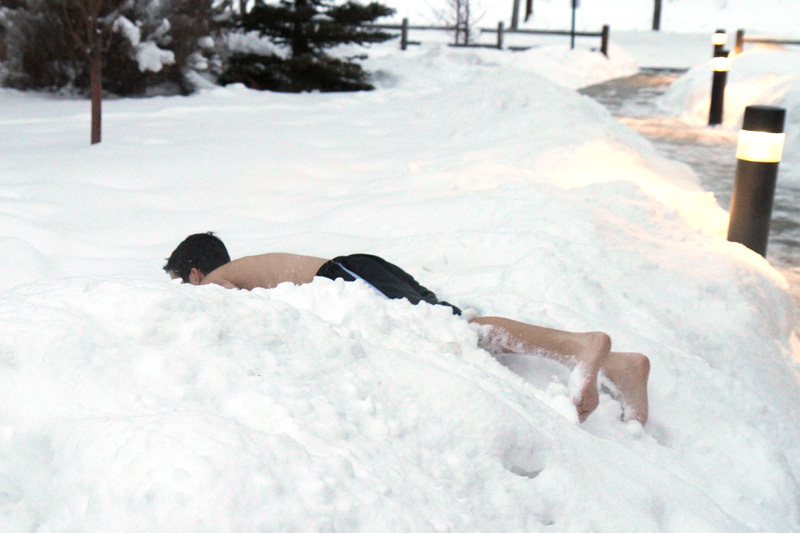 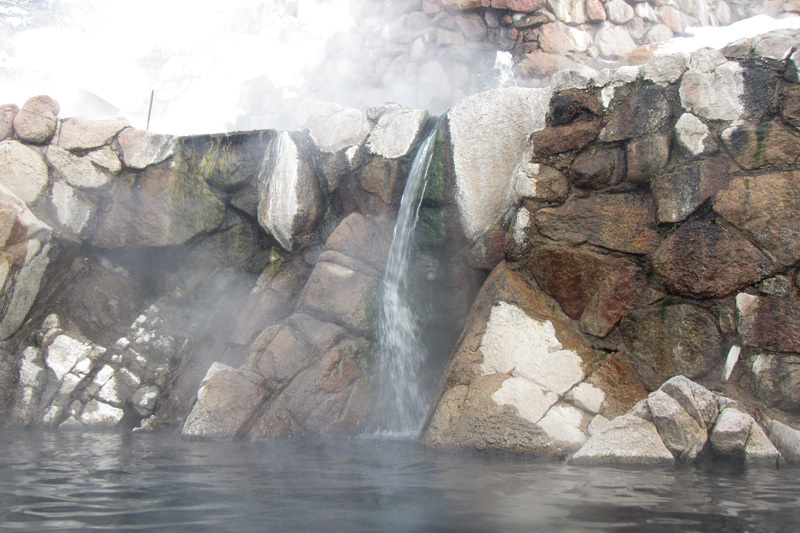 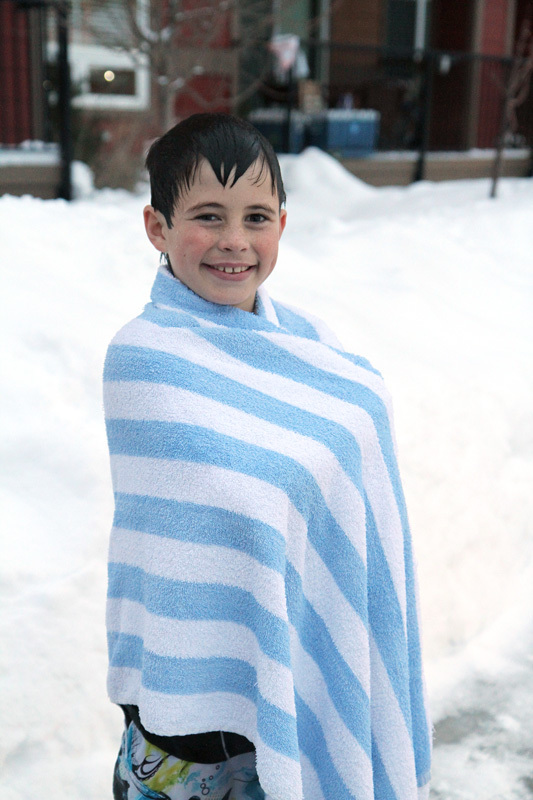 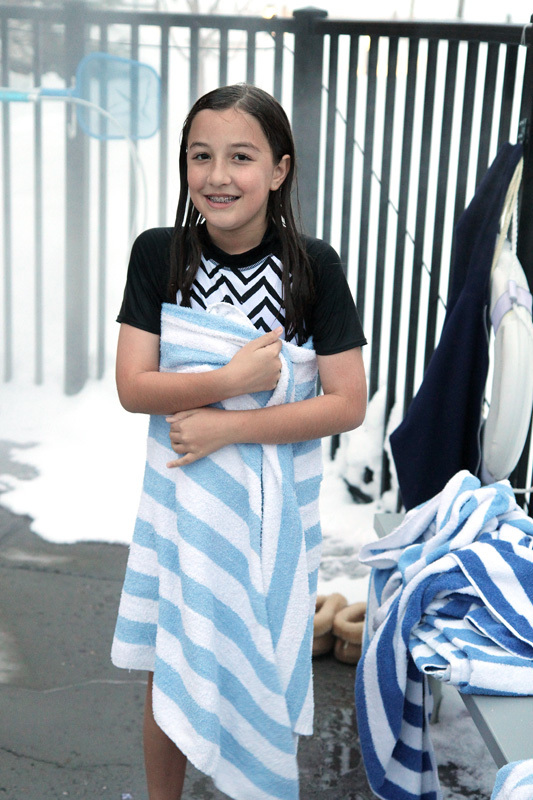 Kevin takes a dip in in the cold side! 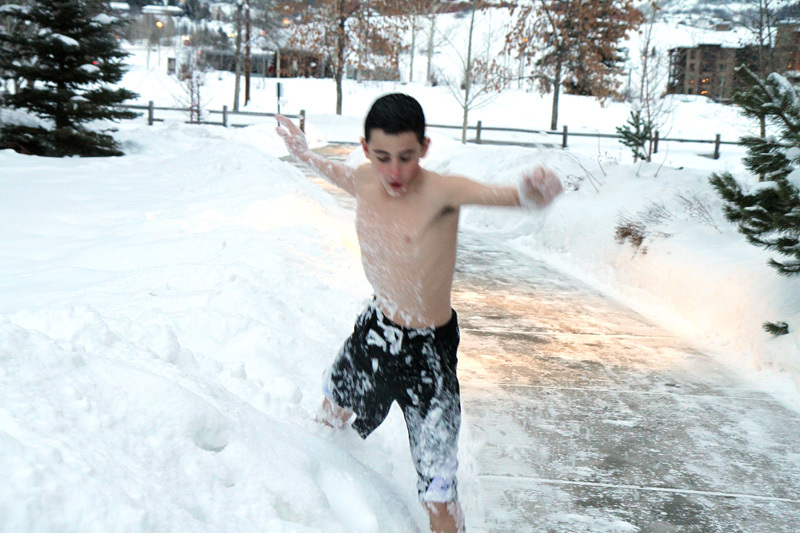 Jack can't get back to the hot side fast enough!